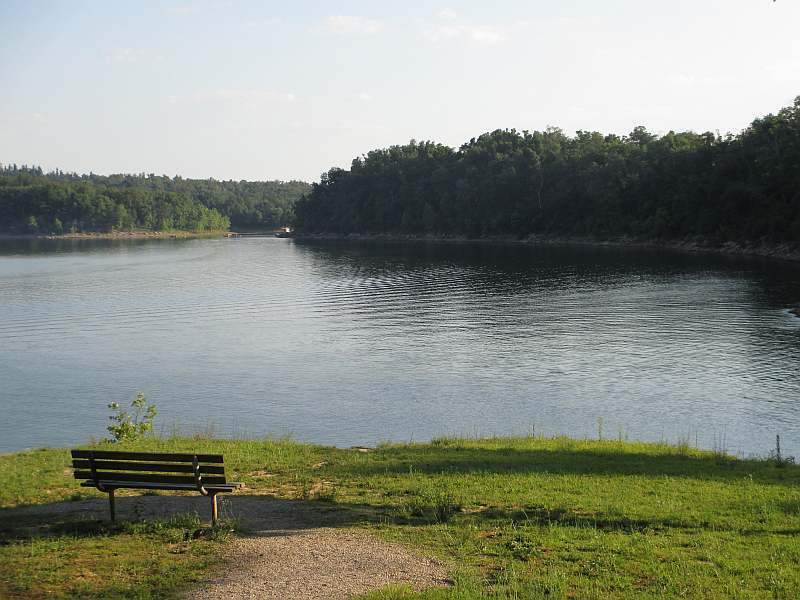 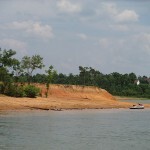 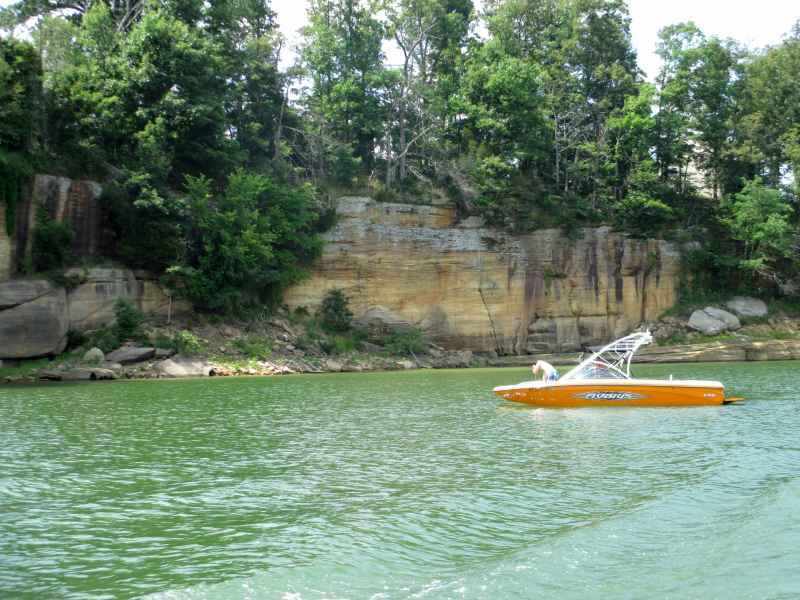 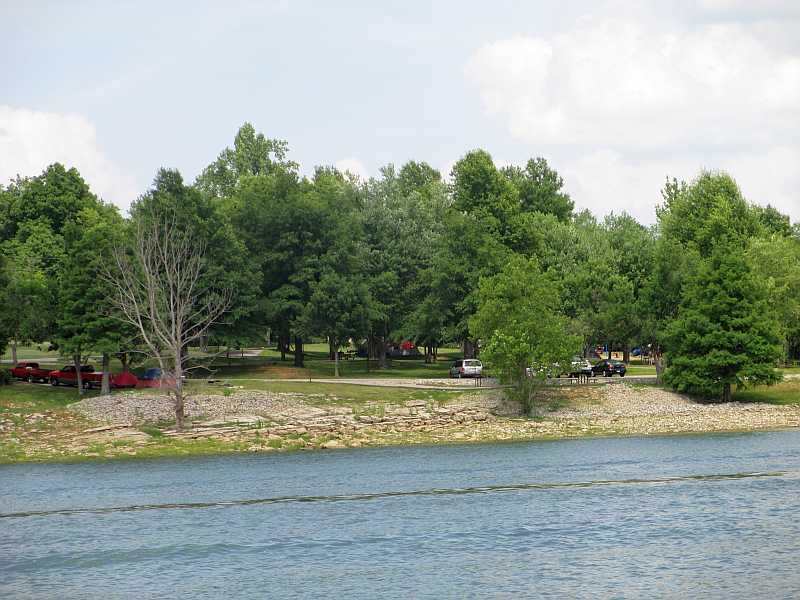 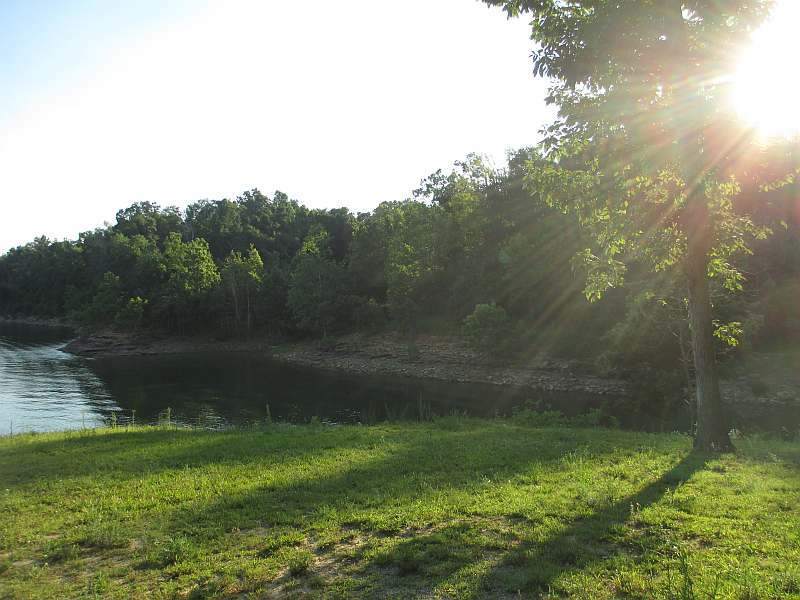 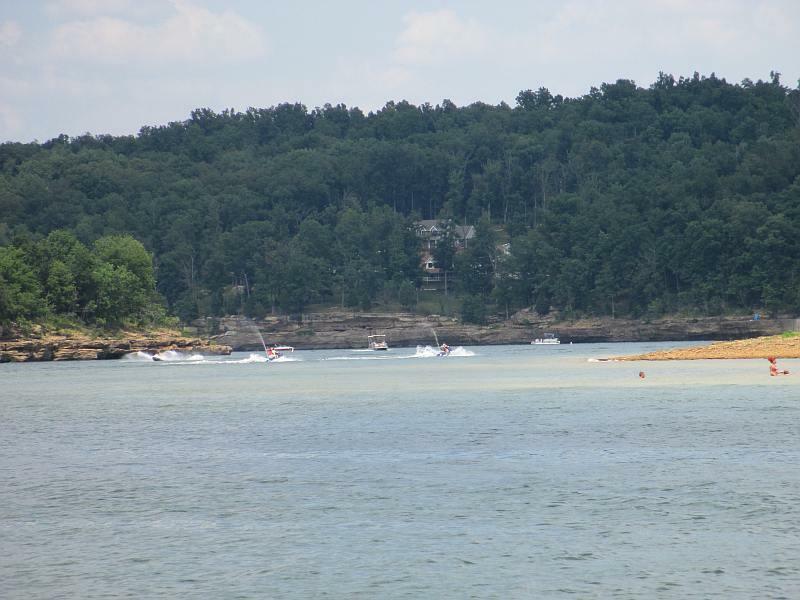 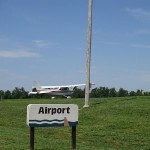 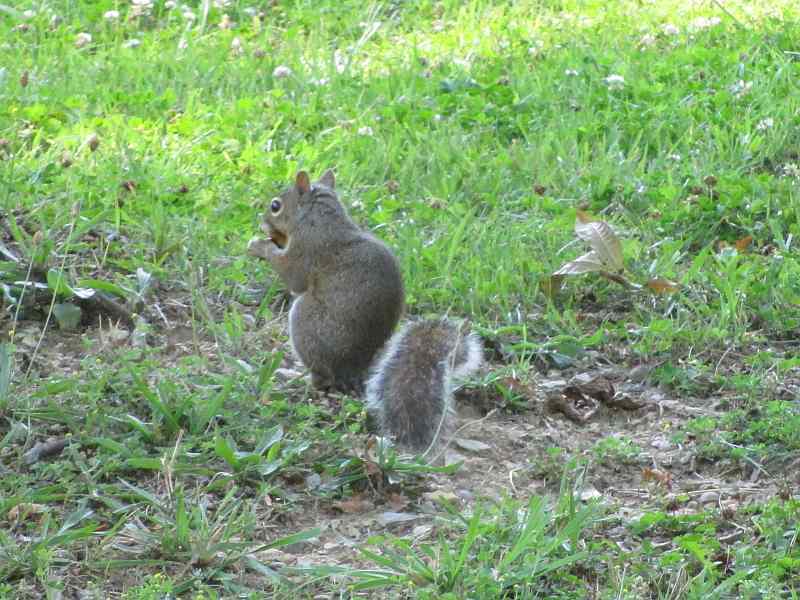 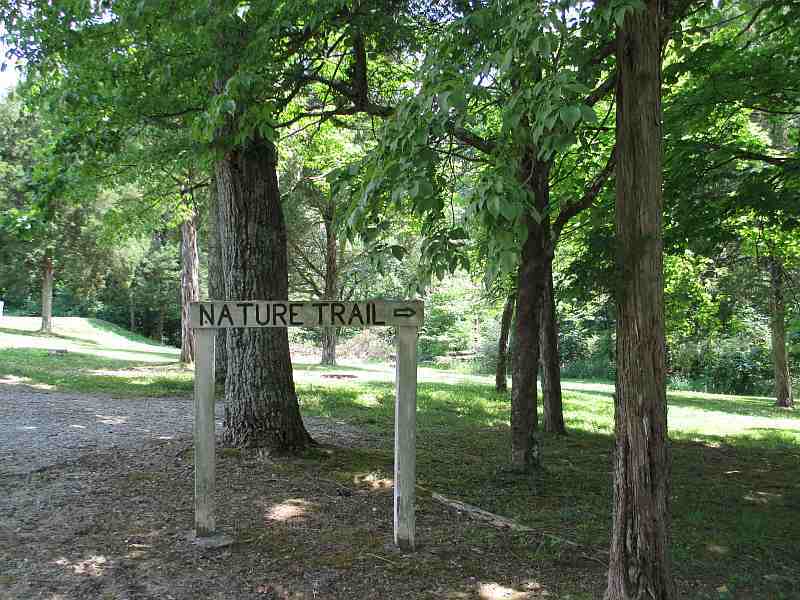 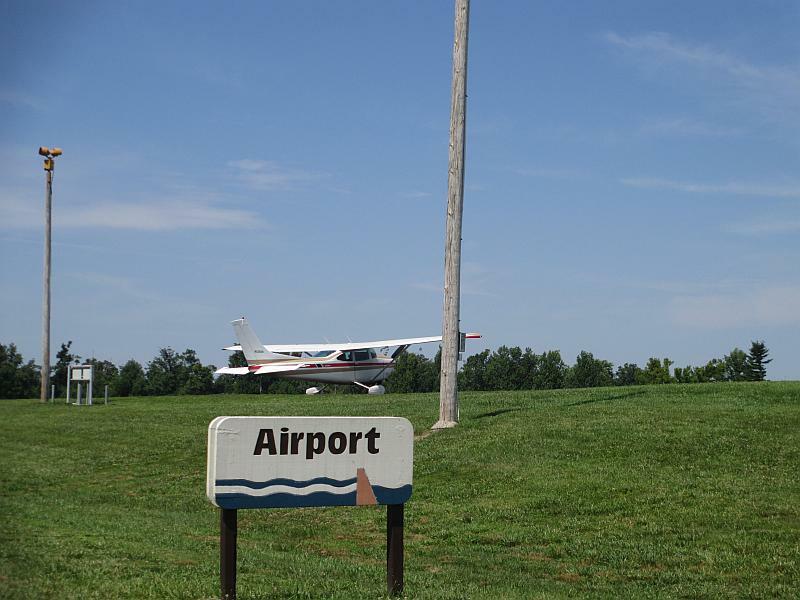 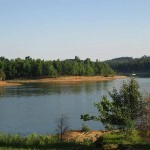 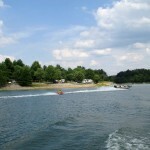 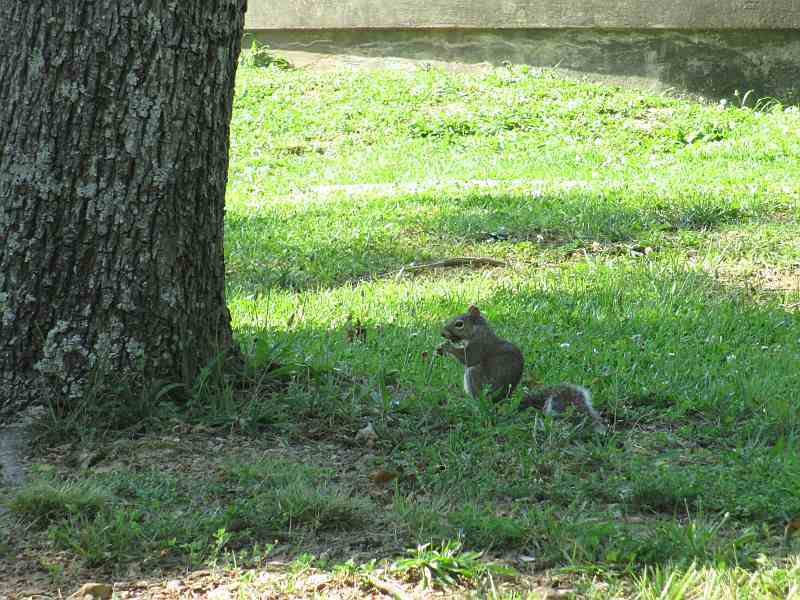 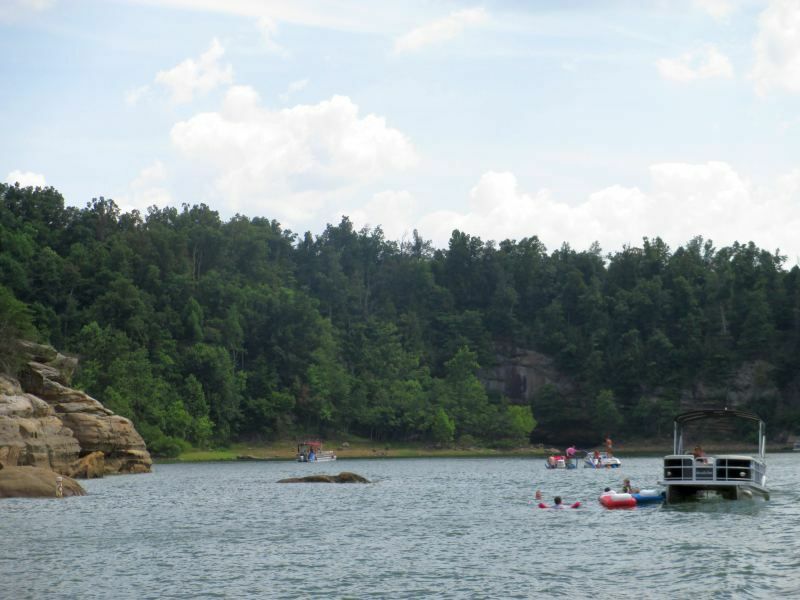 Rough River Dam State Resort Park is less than an hour from Owensboro, Kentucky, which is great news for us since it’s one of our favorite Kentucky State Parks! 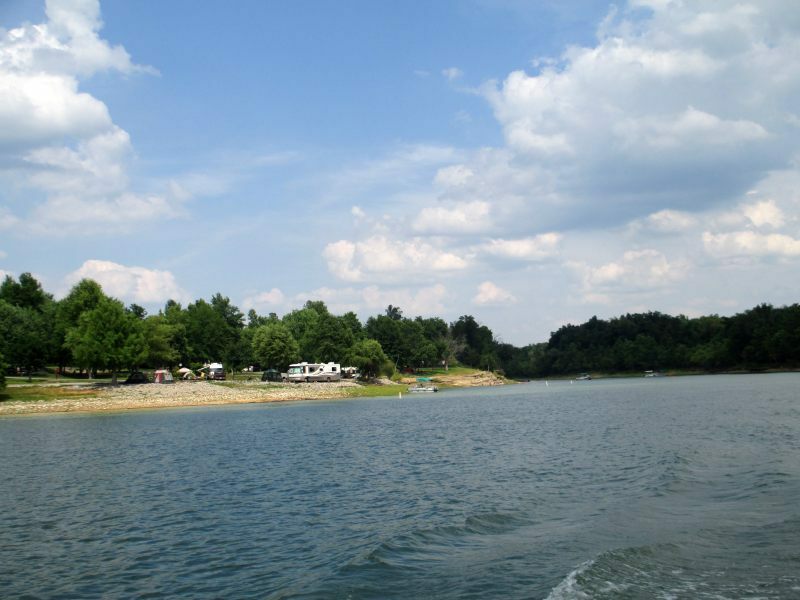 There’s something for, literally, everyone at Rough River: Boating, camping, fishing, bird watching, miniature golf, volleyball, sea doos, boat rentals, boat tours, ping pong, Par 3 Golf Course, hiking, and a lot more. 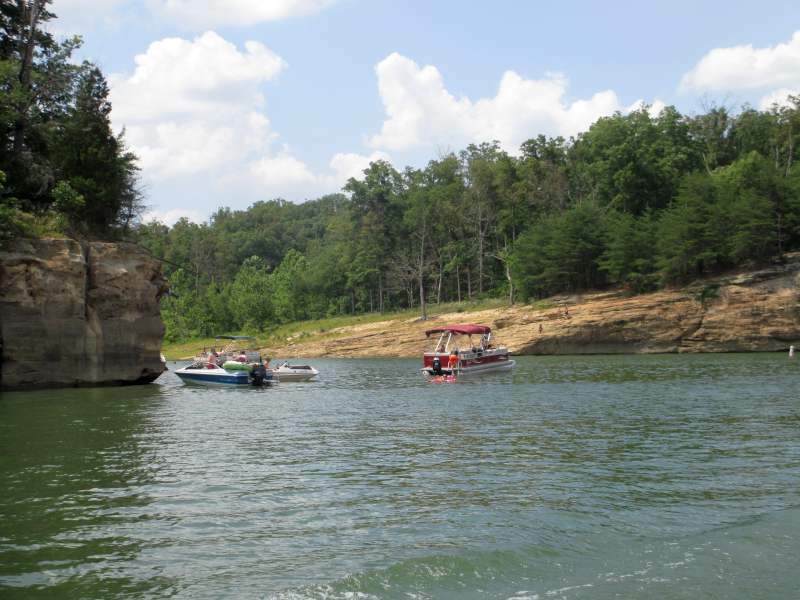 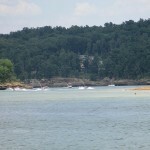 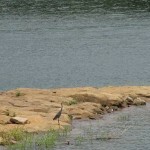 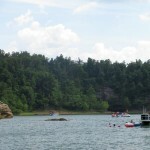 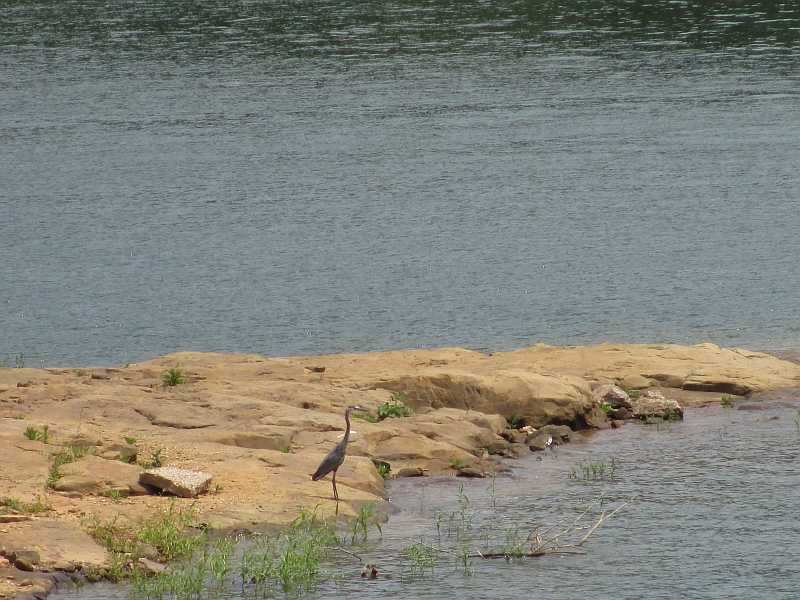 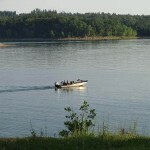 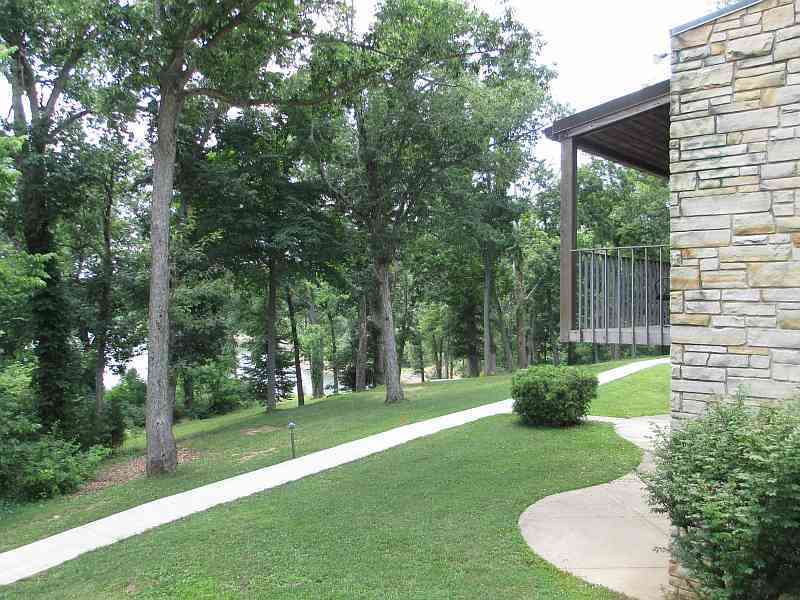 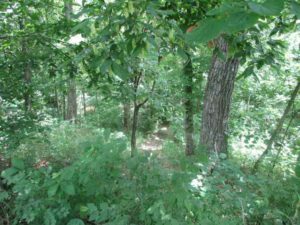 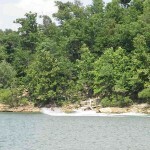 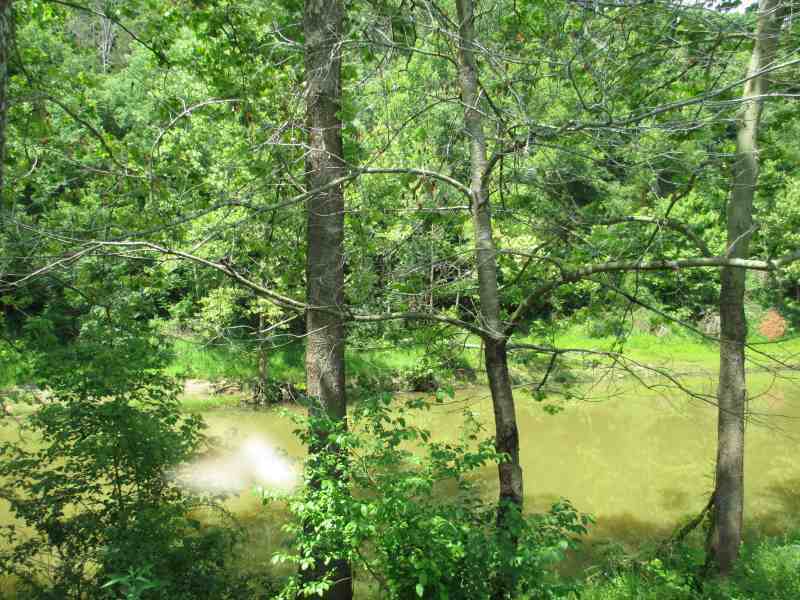 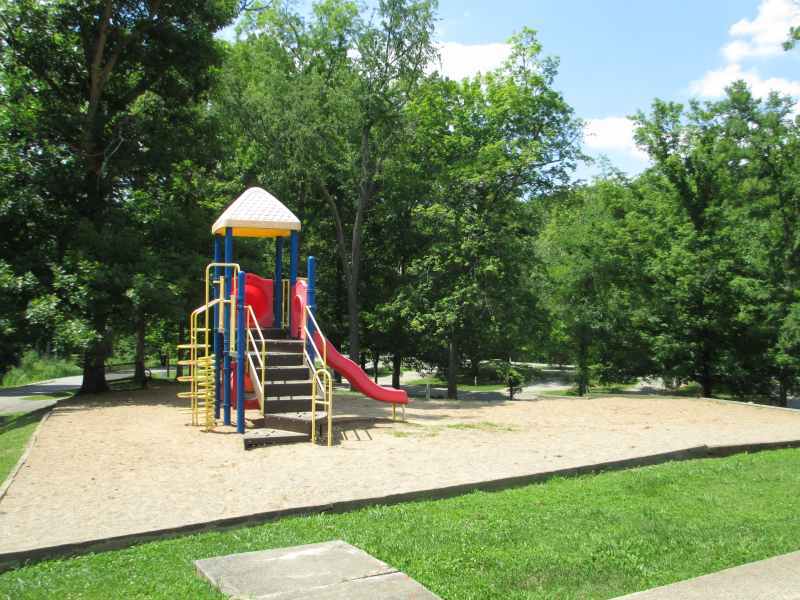 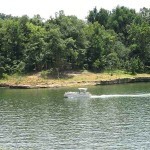 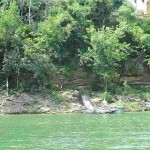 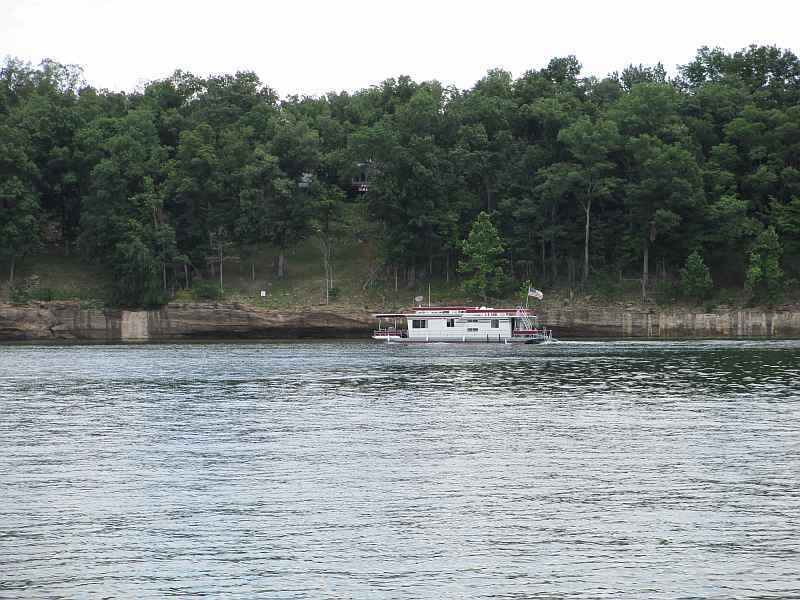 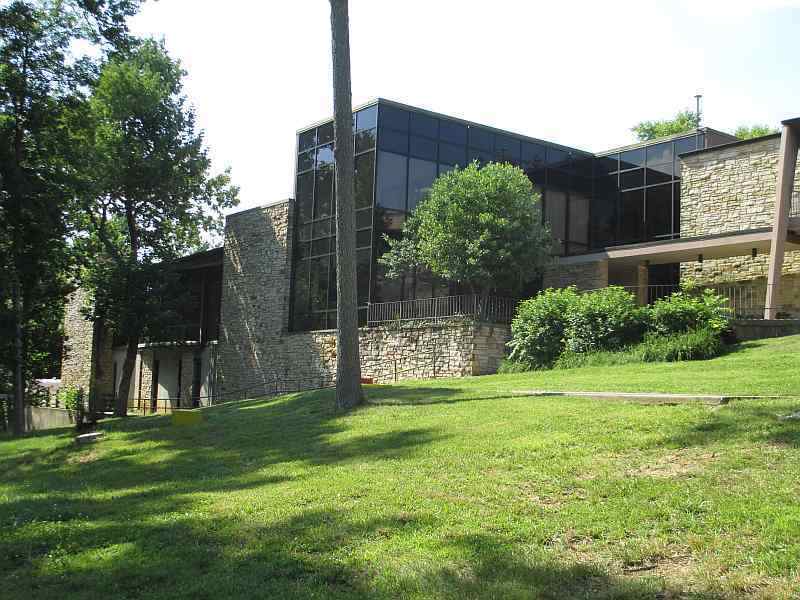 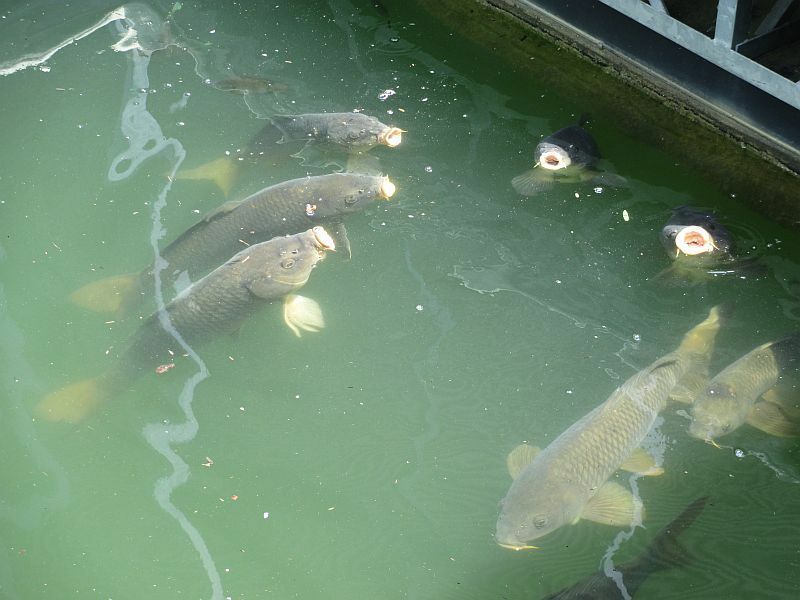 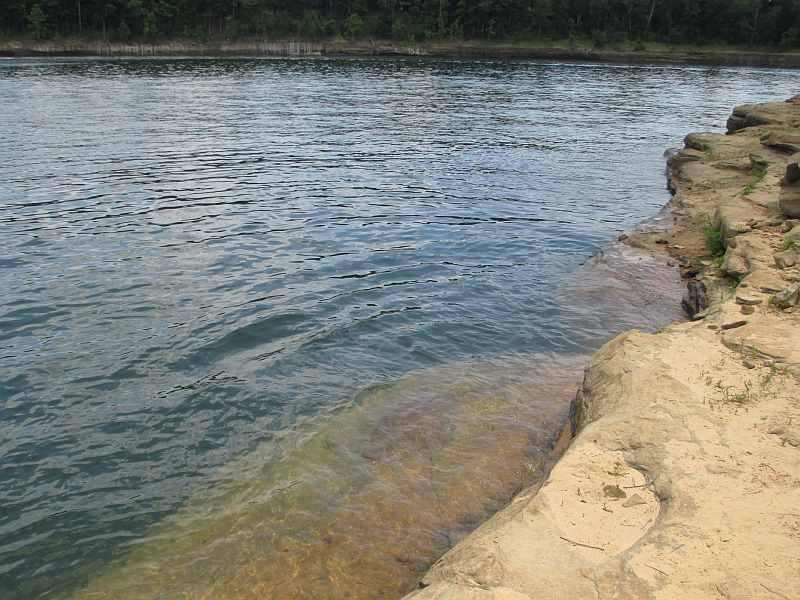 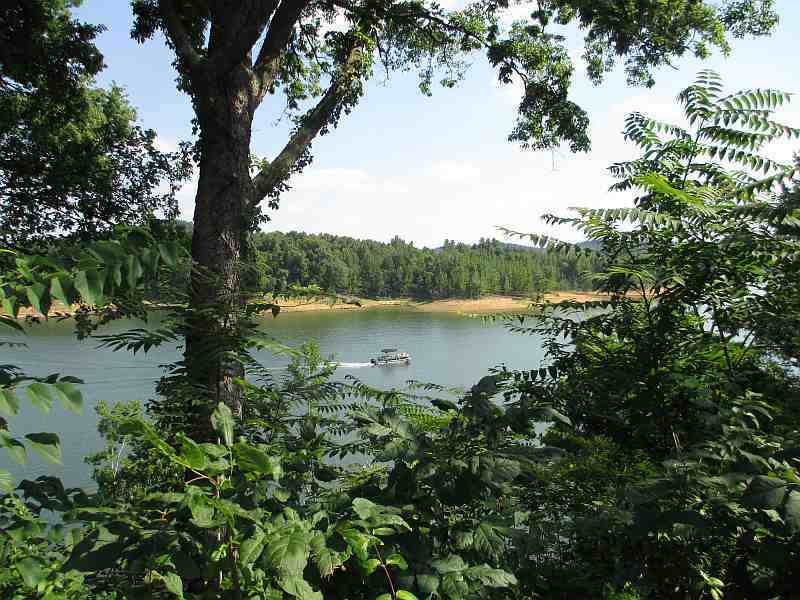 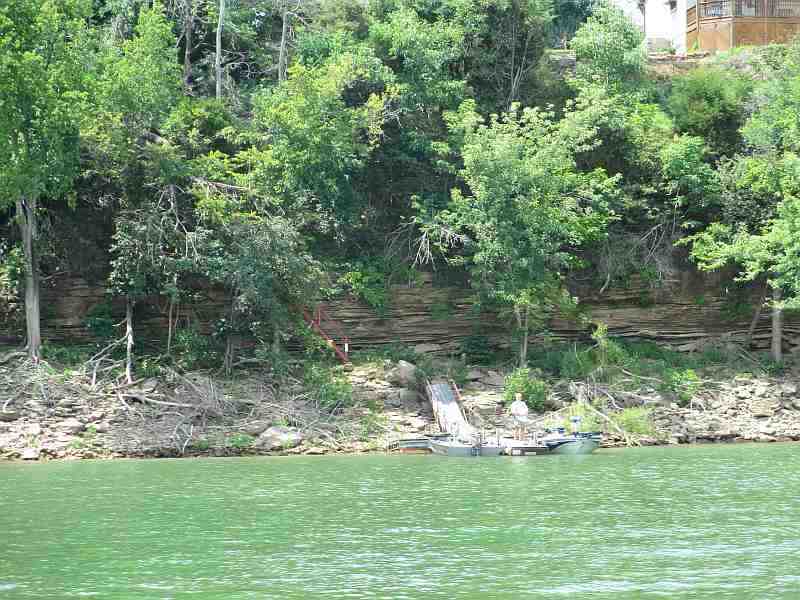 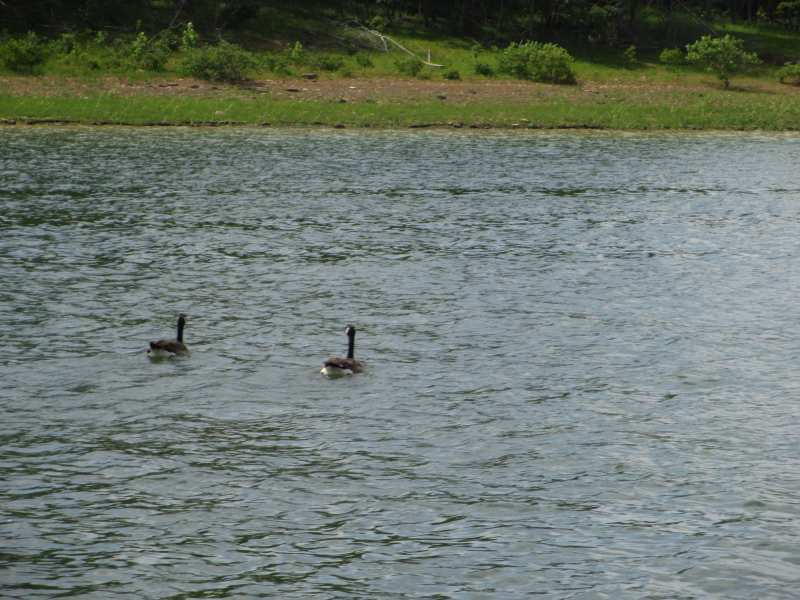 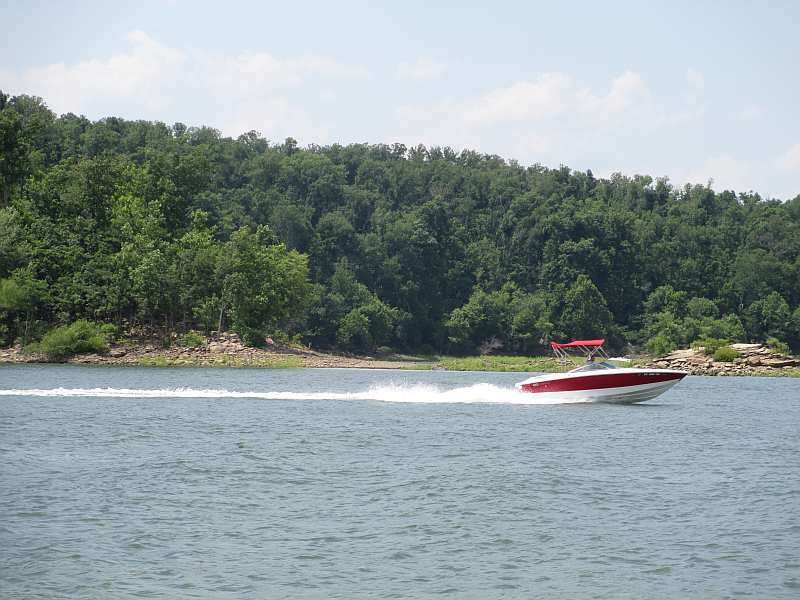 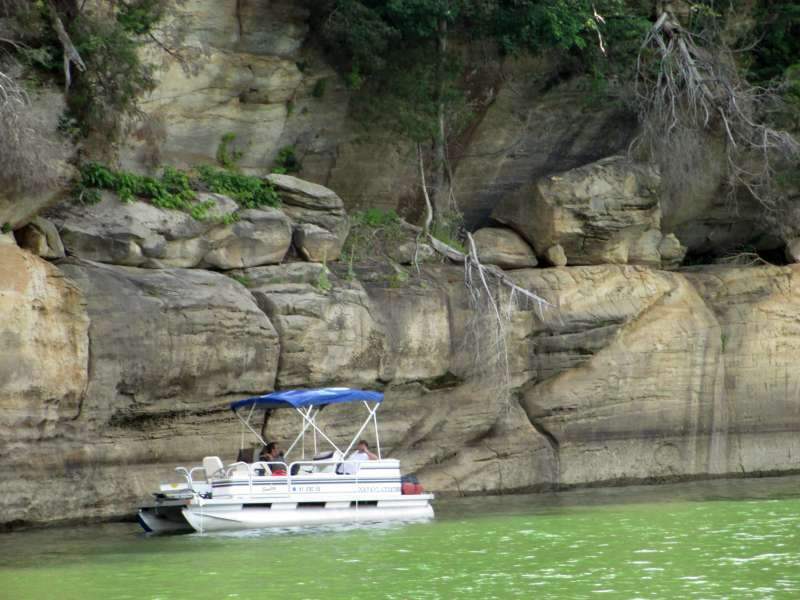 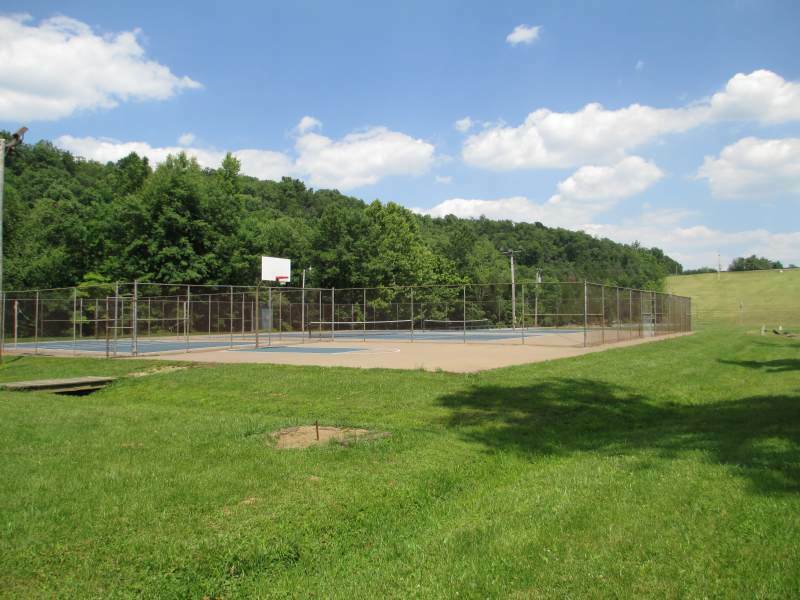 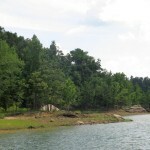 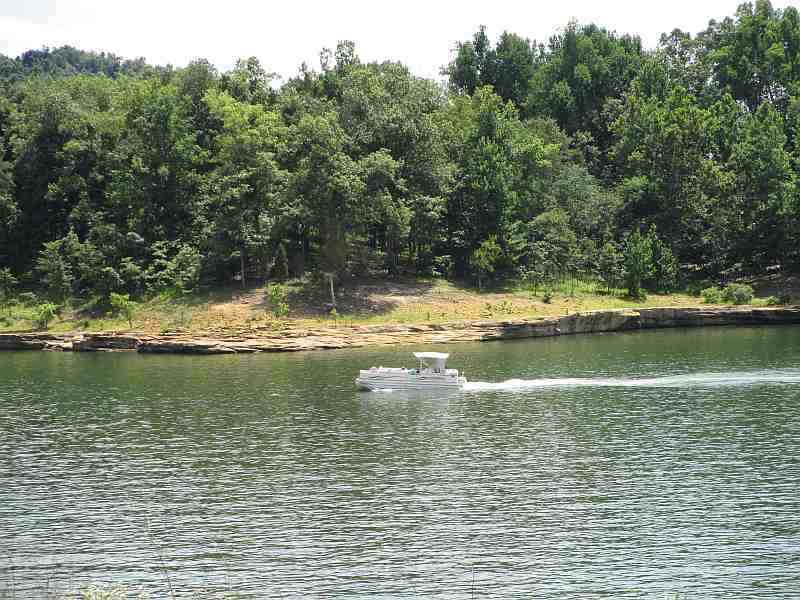 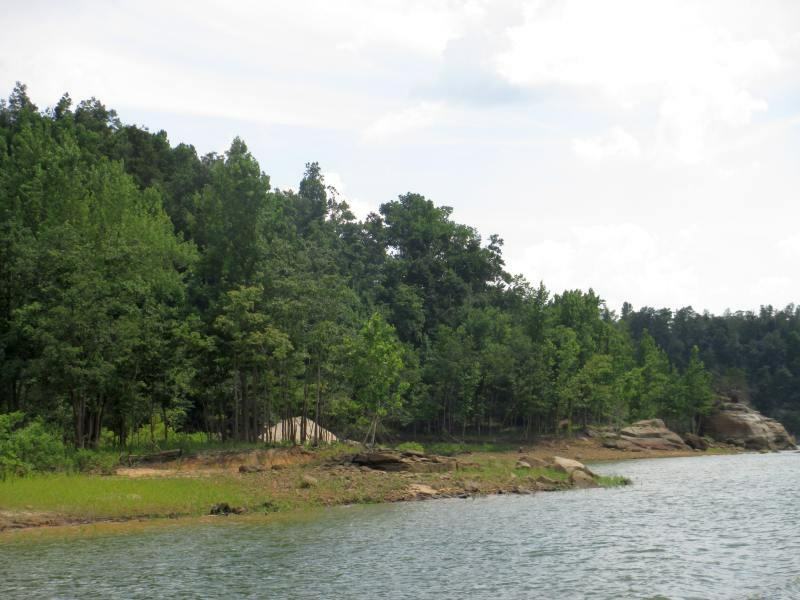 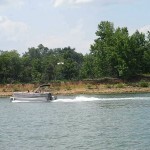 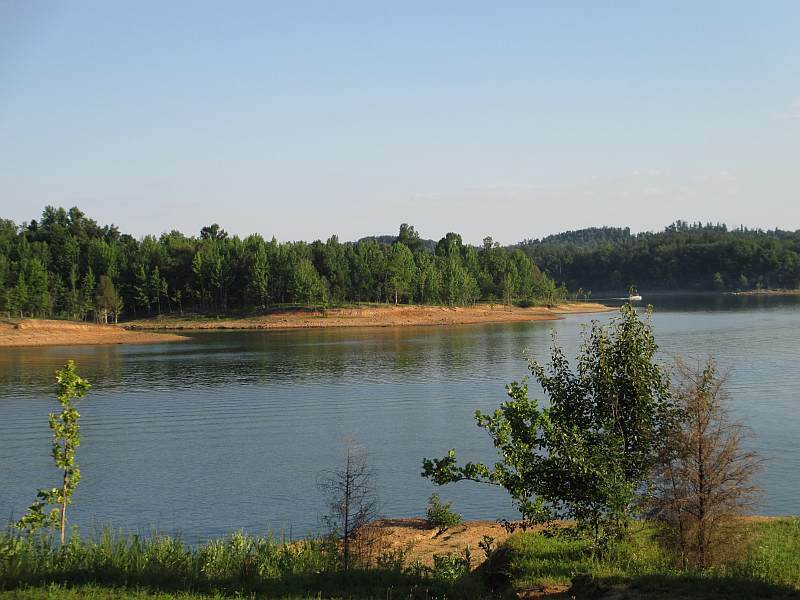 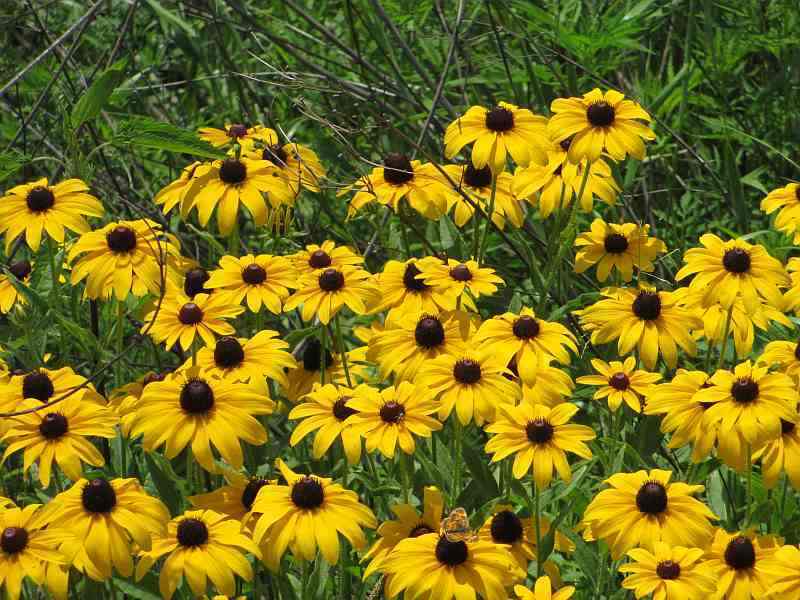 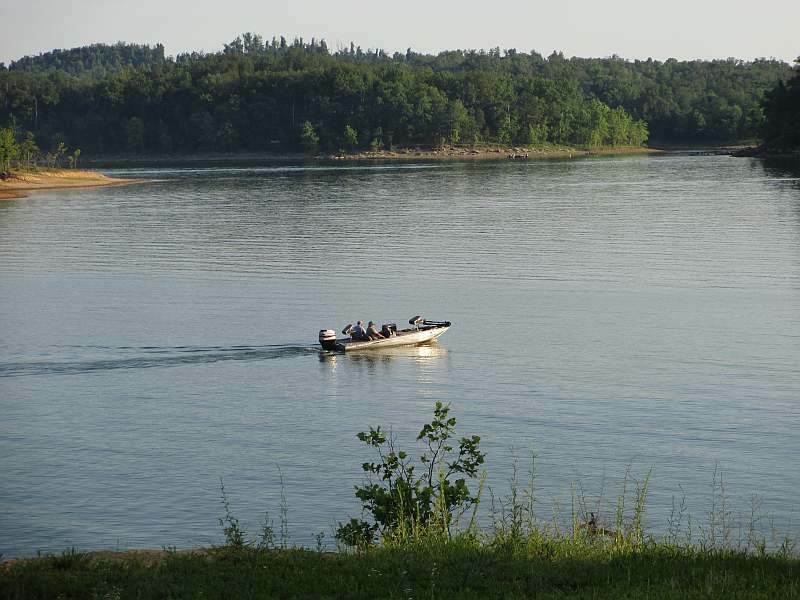 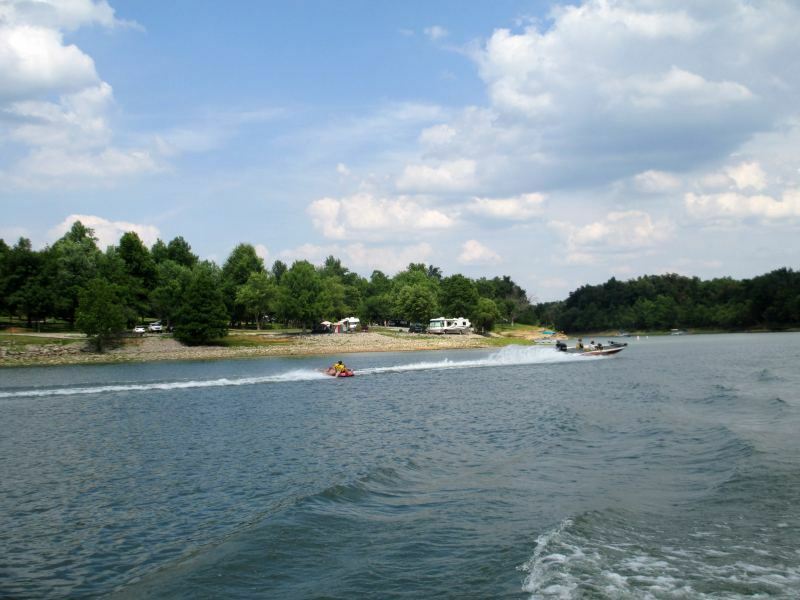 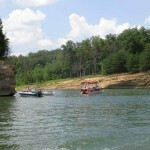 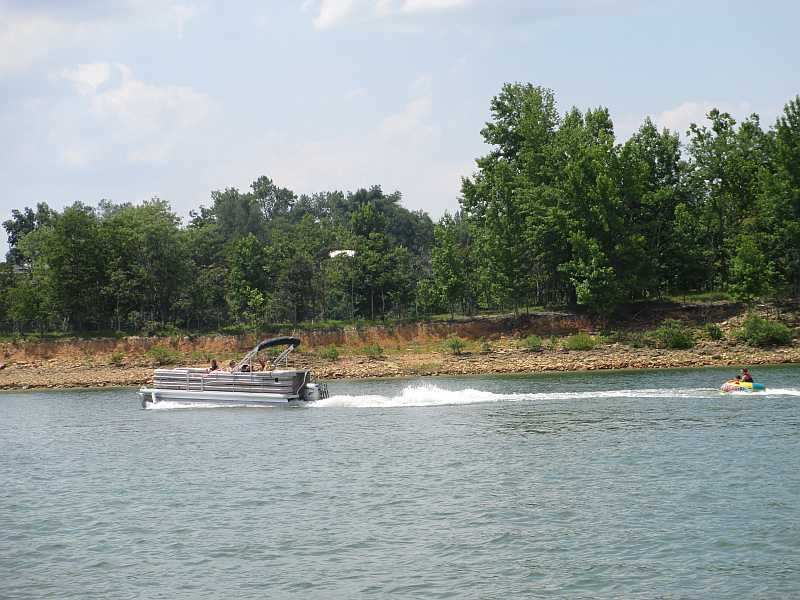 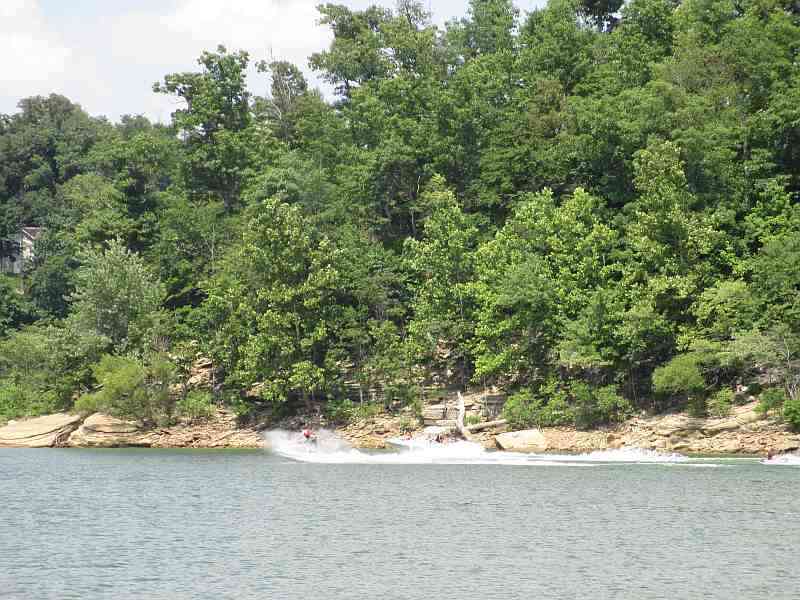 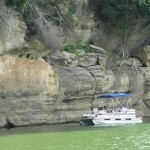 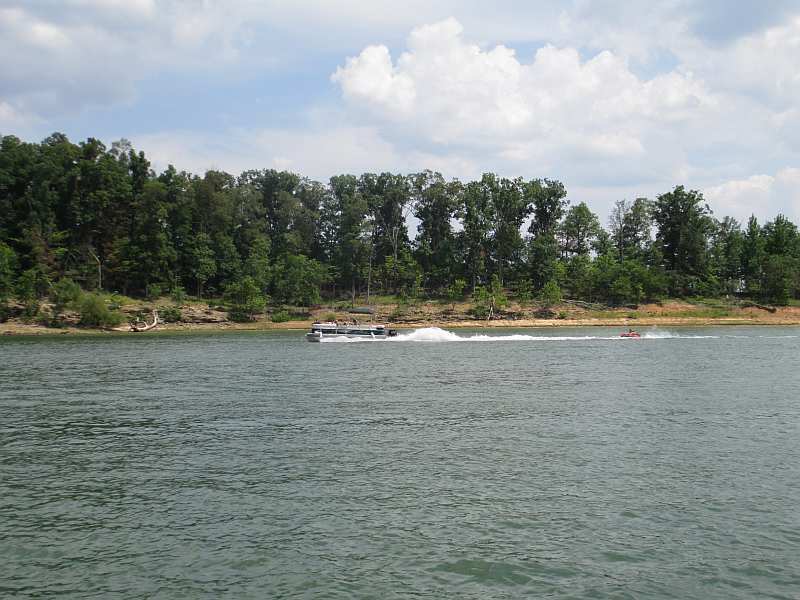 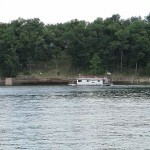 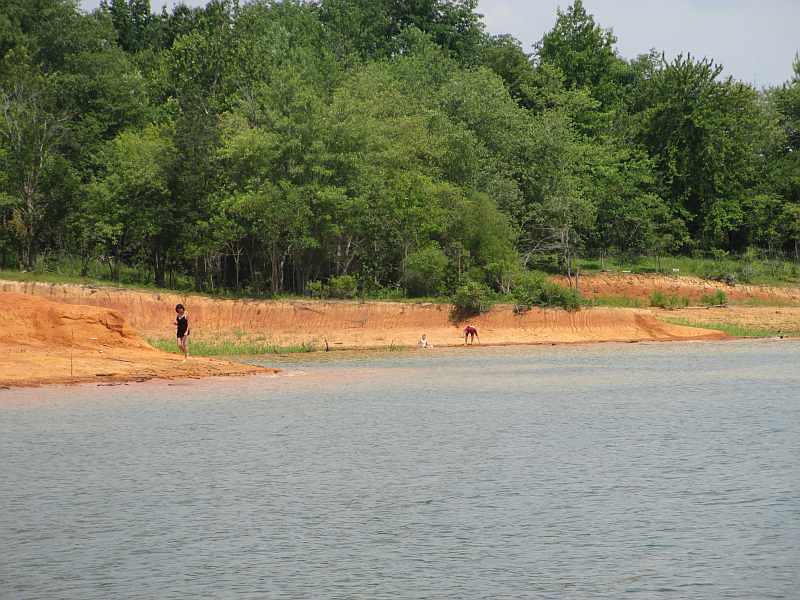 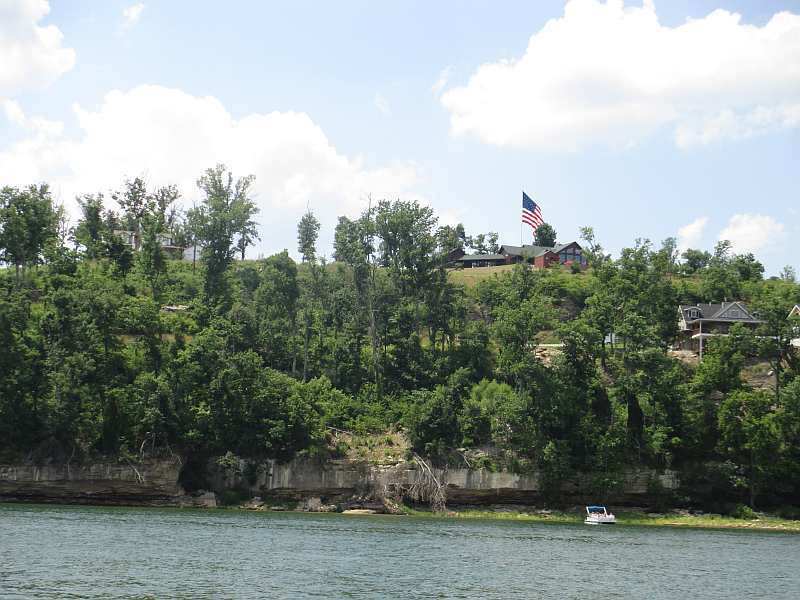 Enjoy the pictures of Rough River Lake and Rough River Dam State Resort Park below and see Rough River Dam State Resort Park for more information about this uncommonly friendly and fun park. 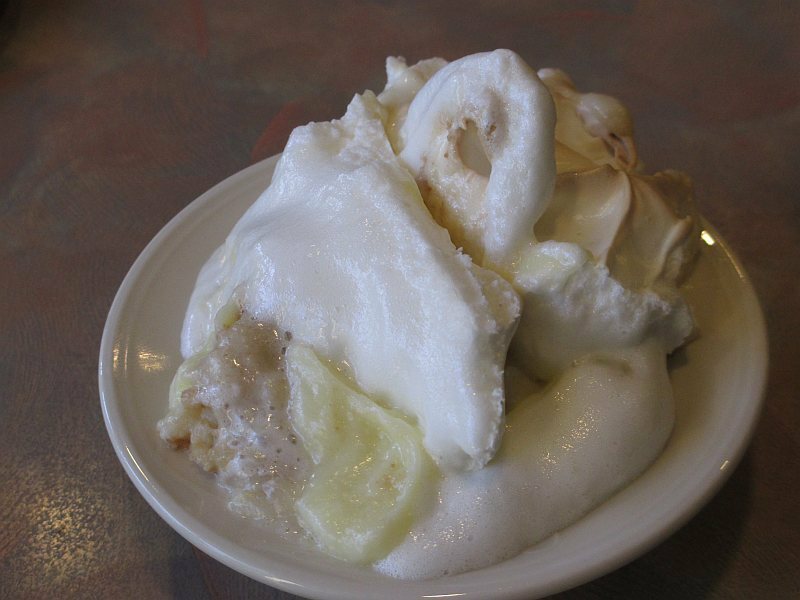 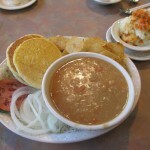 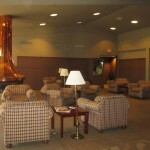 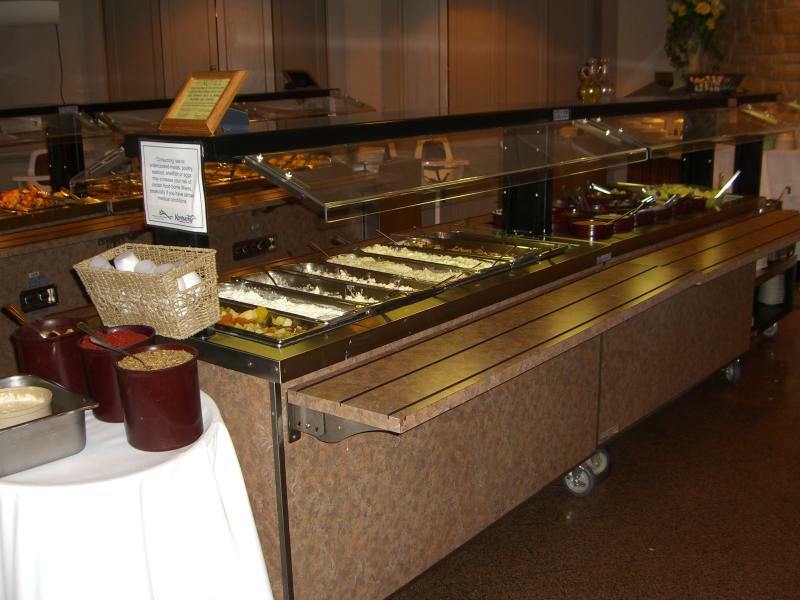 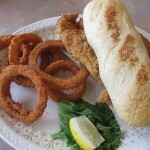 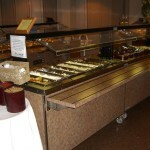 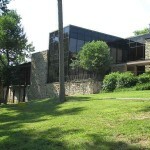 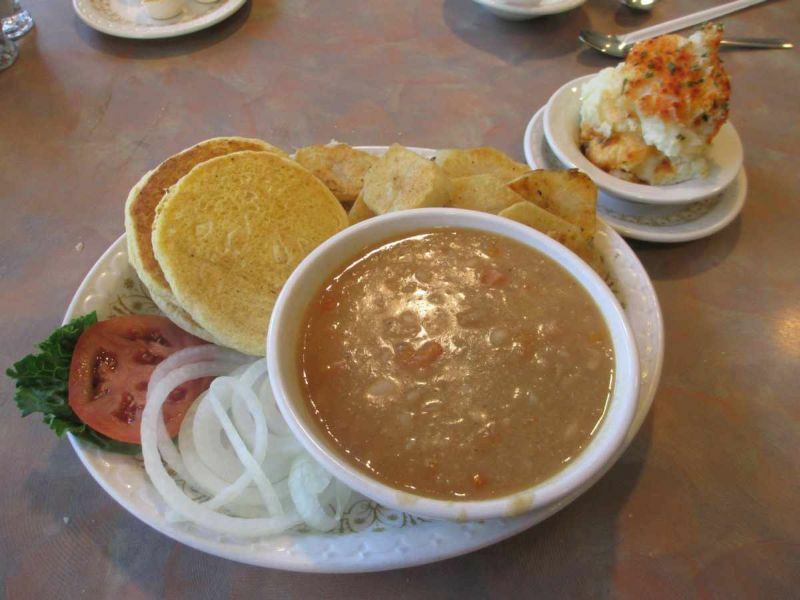 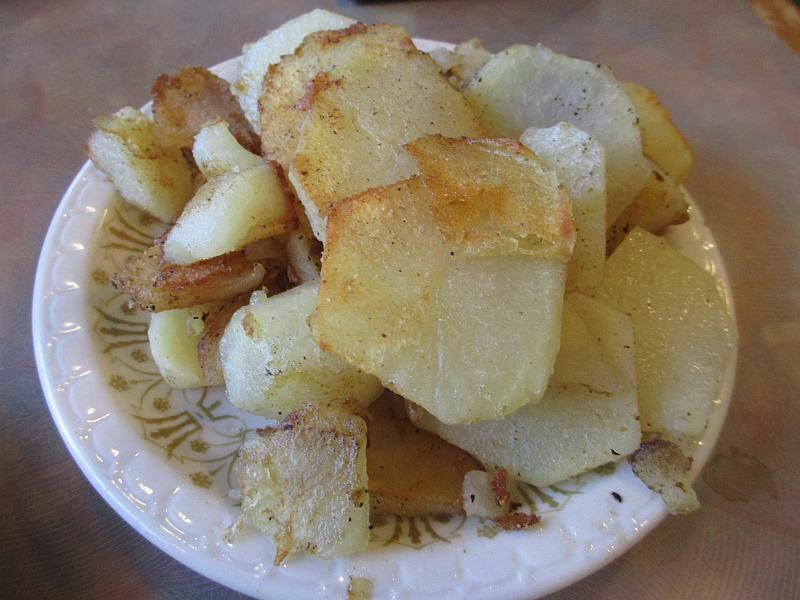 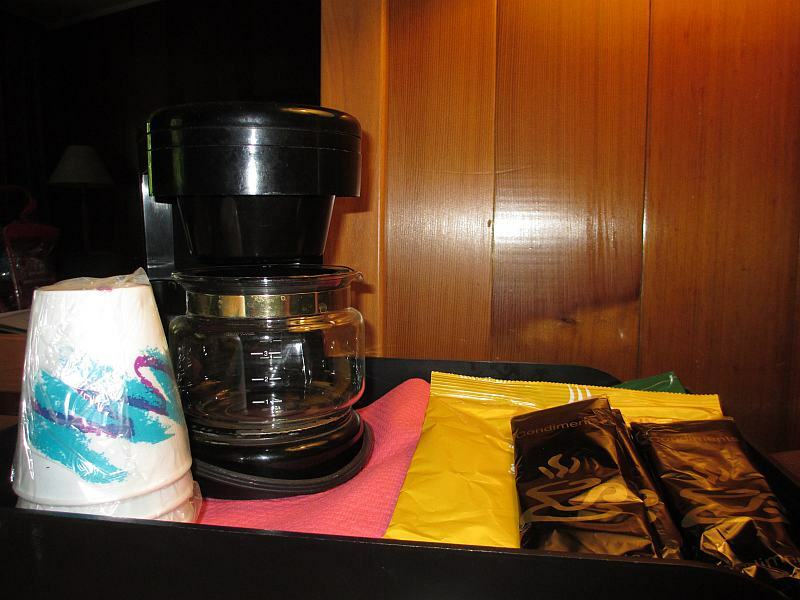 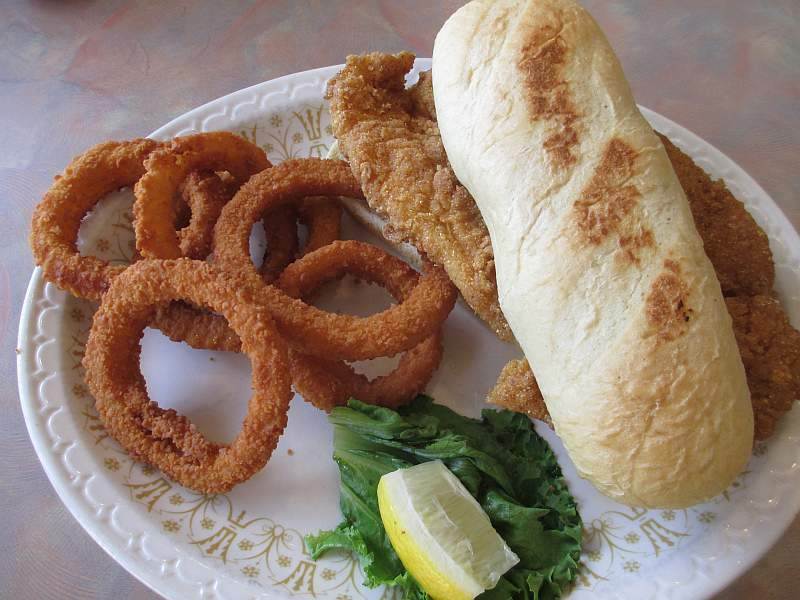 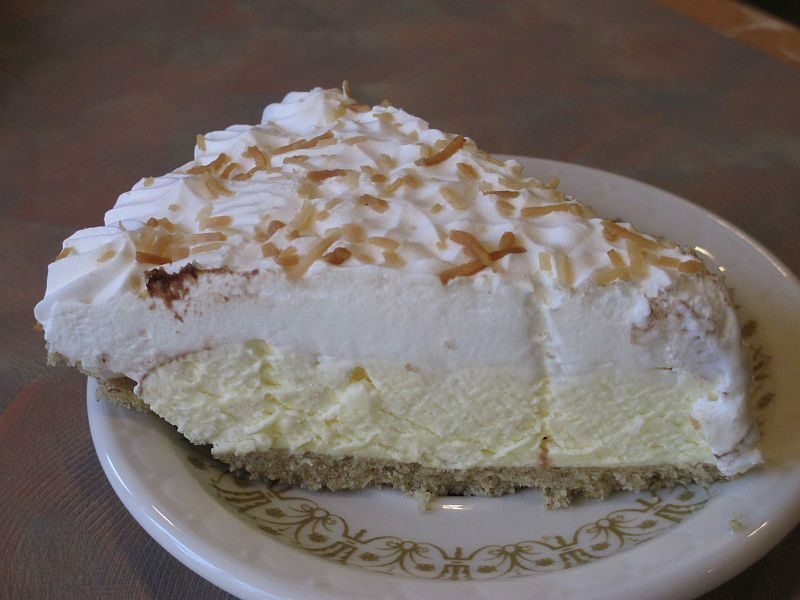 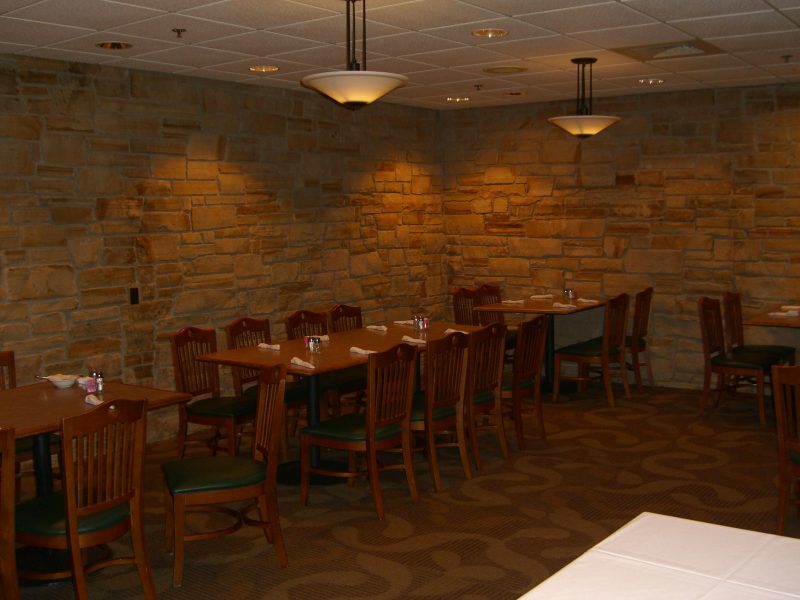 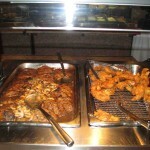 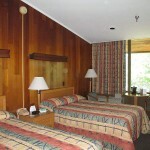 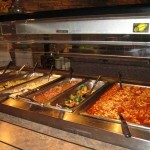 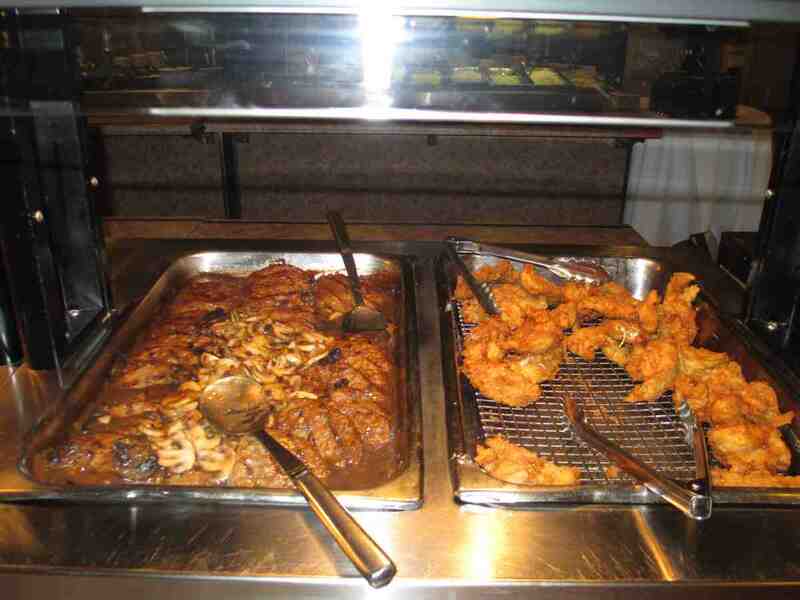 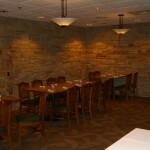 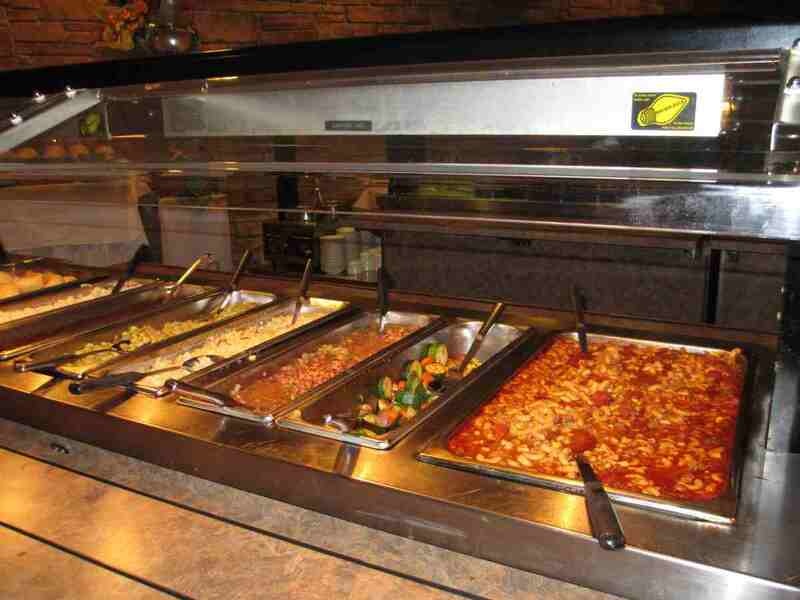 You do not have to be a guest at Rough River Dam State Resort Park to enjoy the restaurant in the lodge. 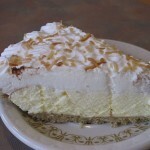 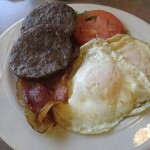 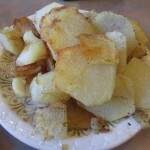 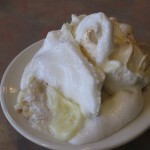 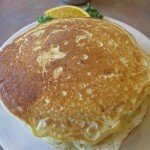 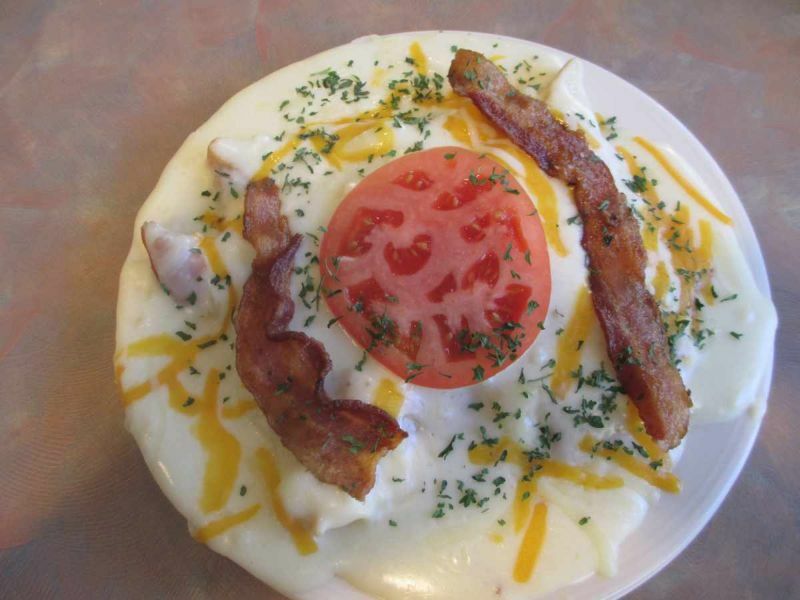 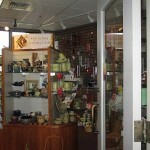 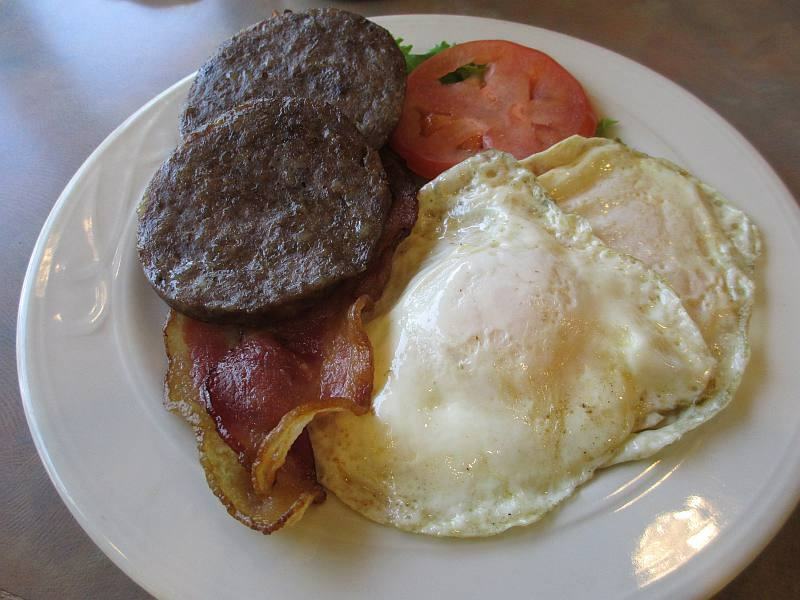 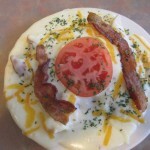 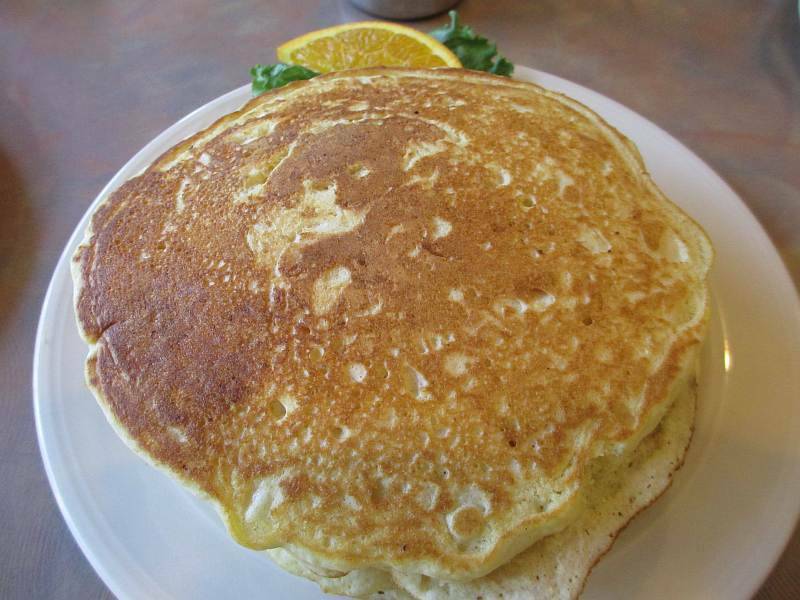 Grayson’s Landing is an excellent restaurant for breakfast, lunch, dinner, of simply dessert and coffee. 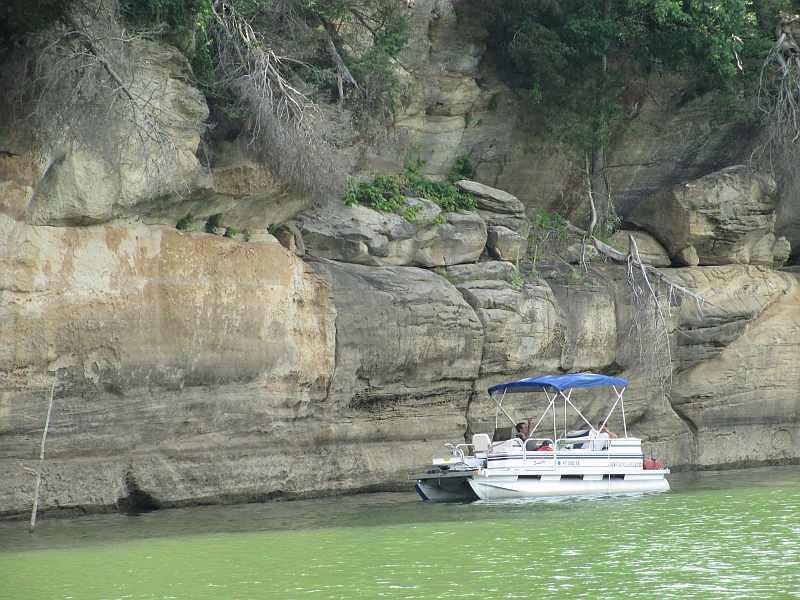 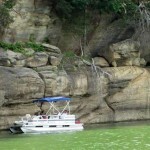 The coves and shorelines of Rough River Lake are as spectacular and beautiful as the lake, itself. 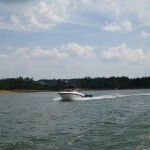 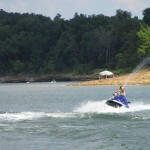 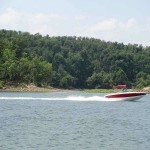 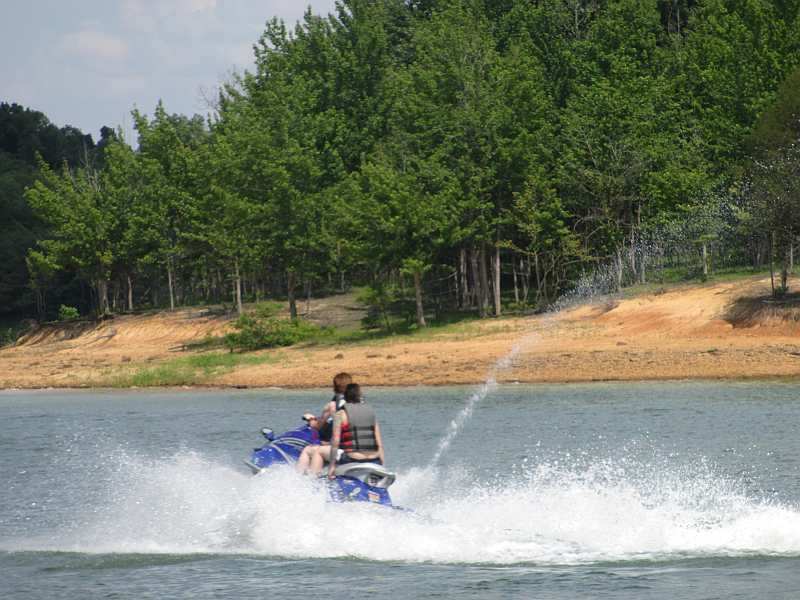 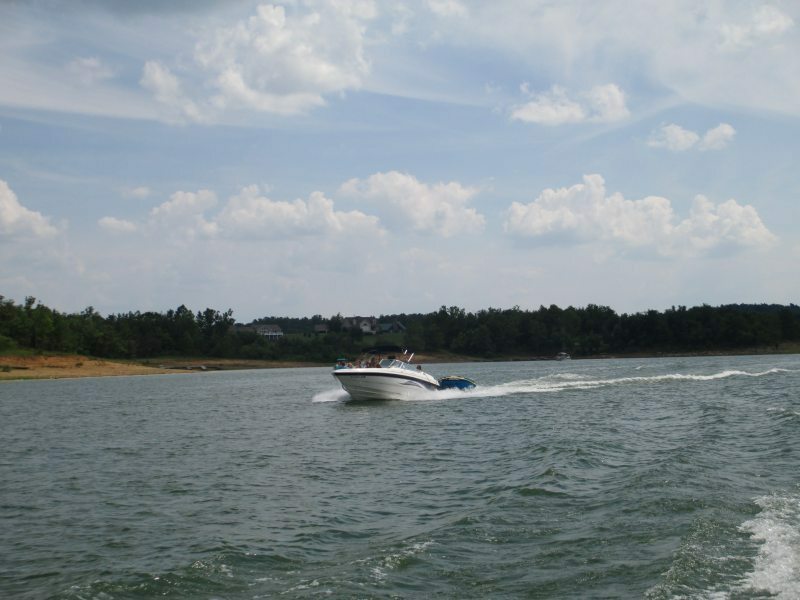 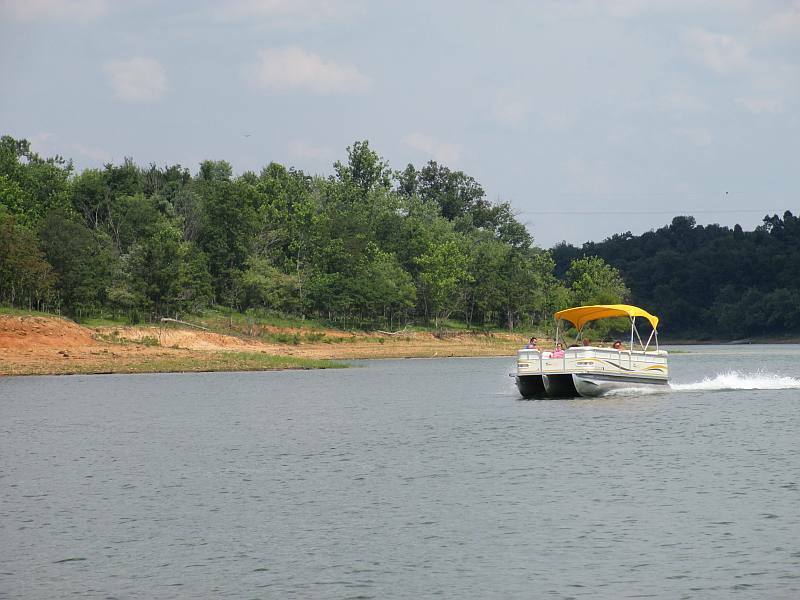 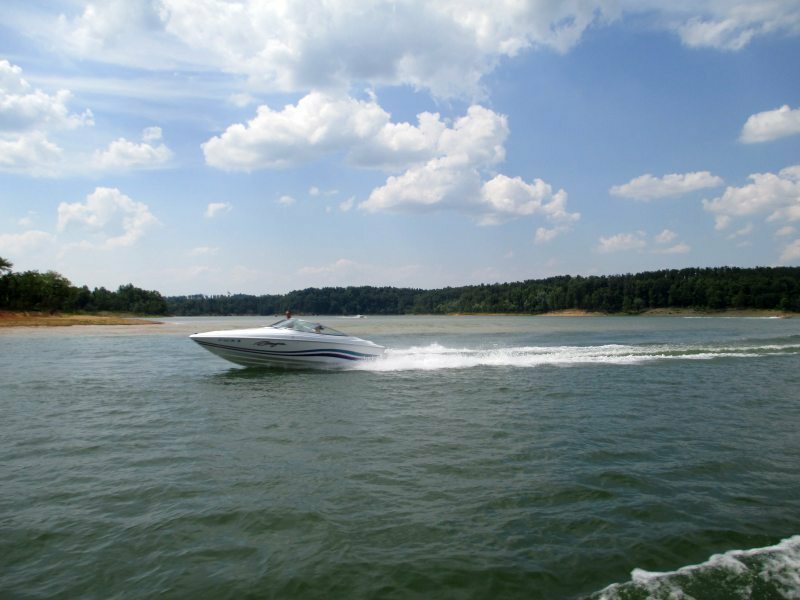 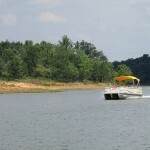 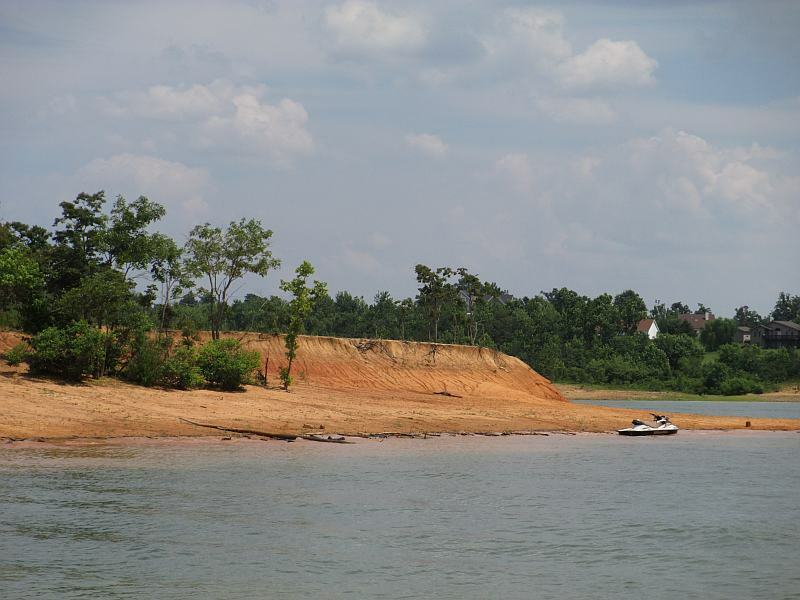 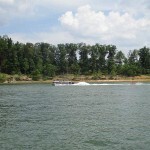 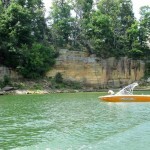 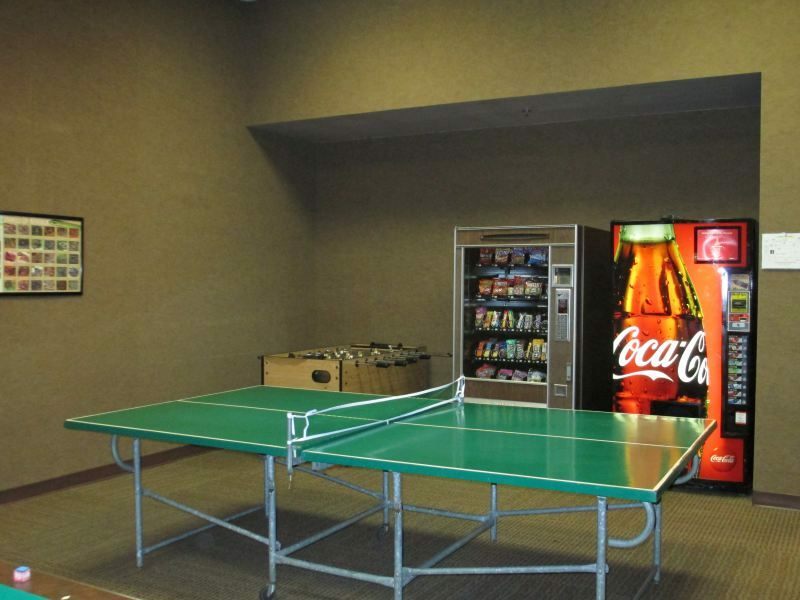 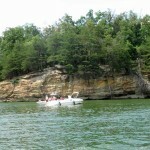 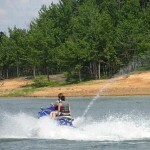 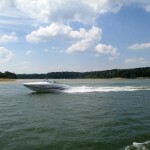 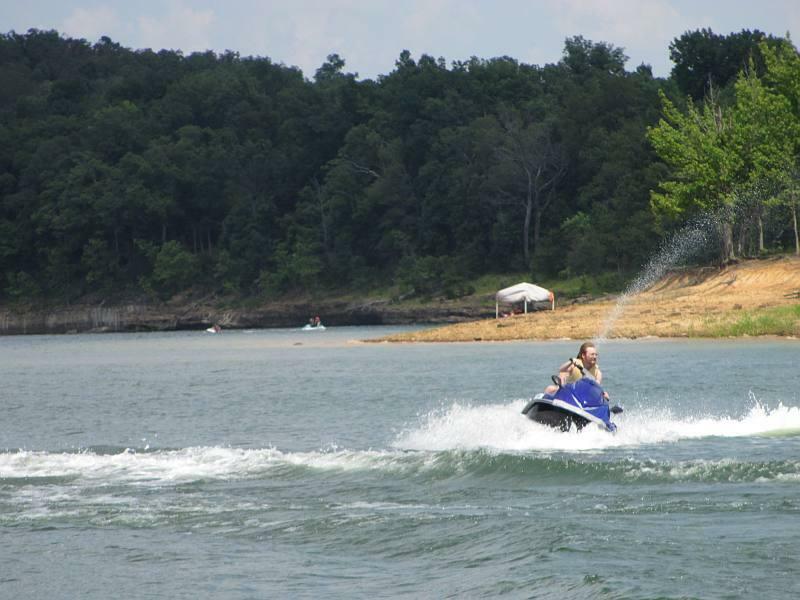 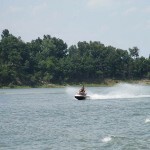 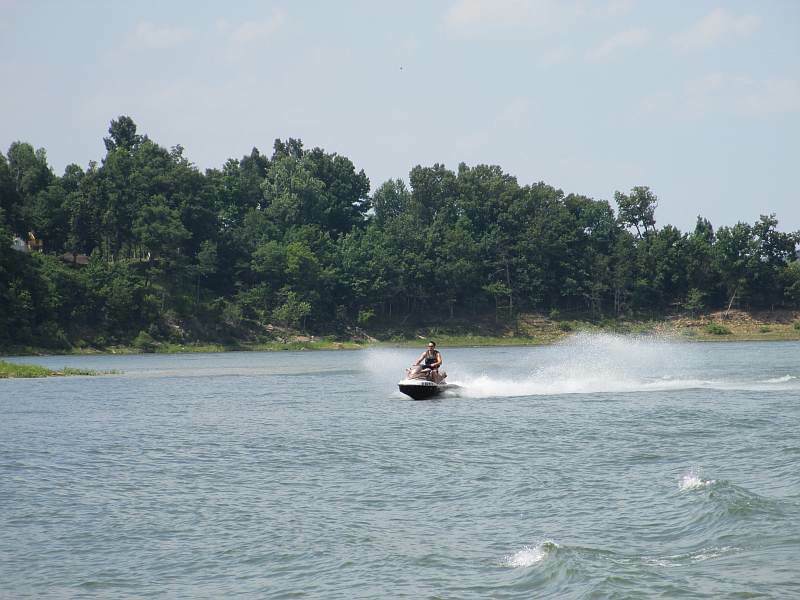 As you’ll see, there are endless ways to have fun on Rough River Lake! 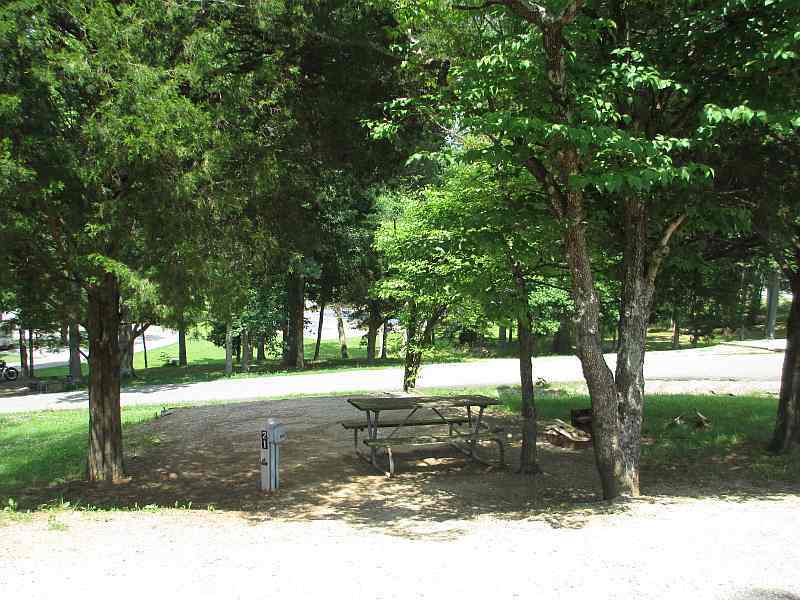 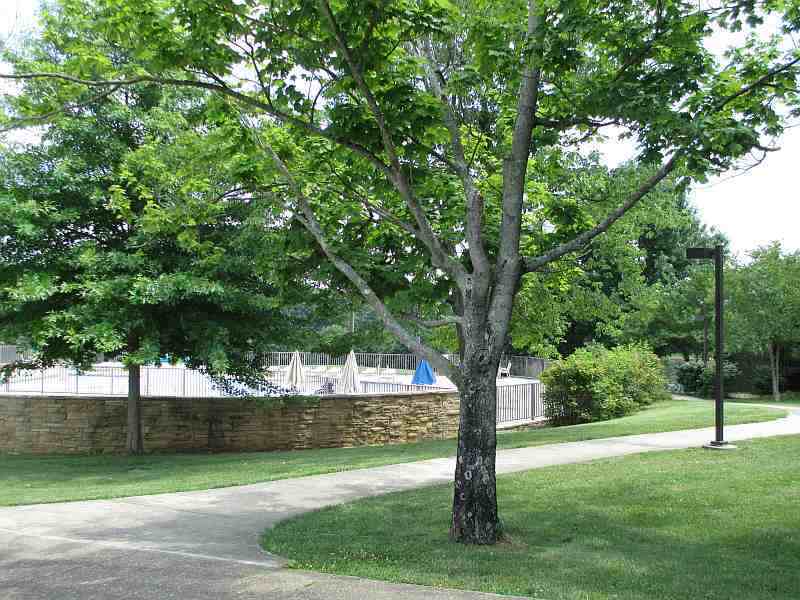 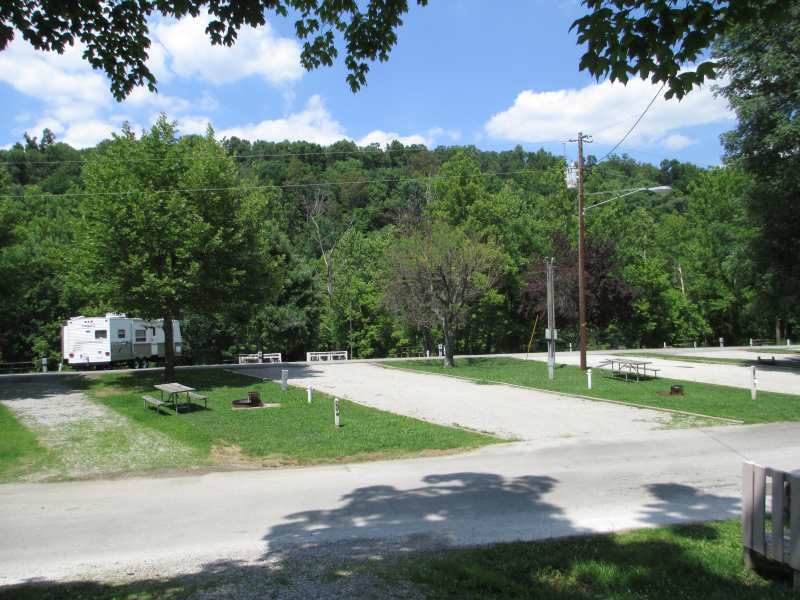 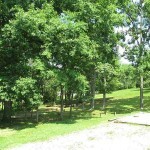 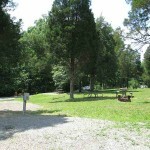 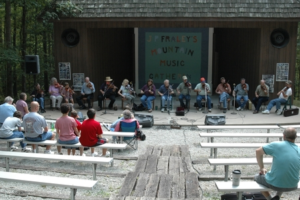 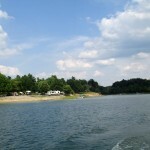 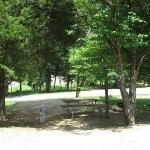 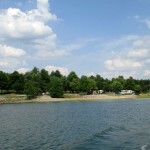 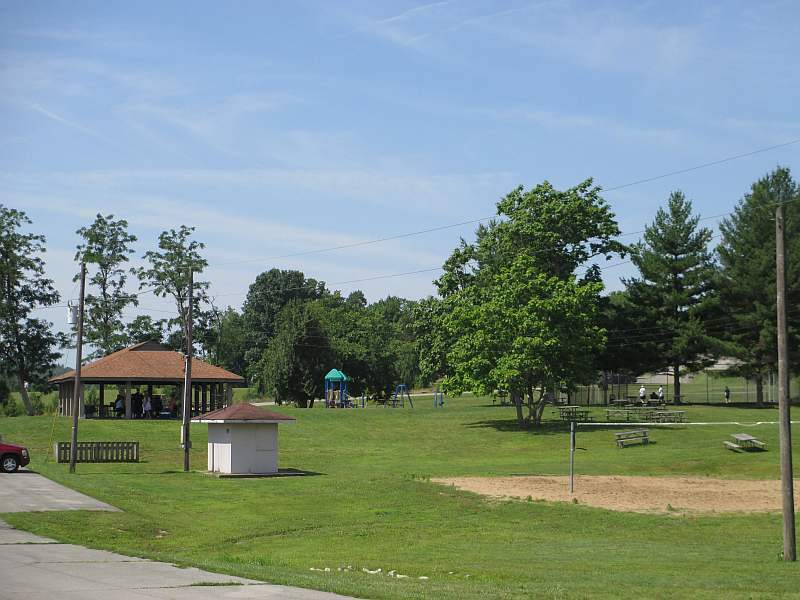 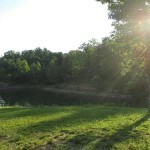 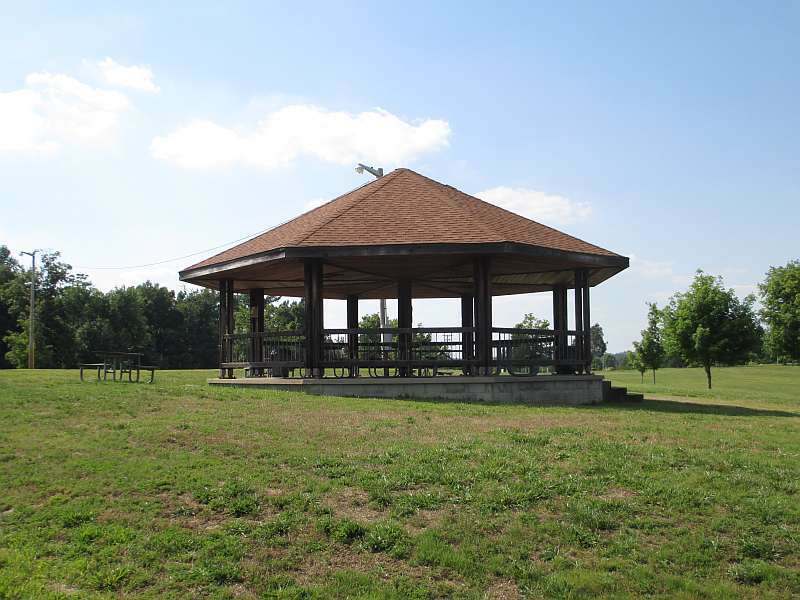 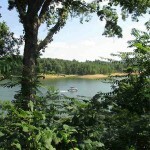 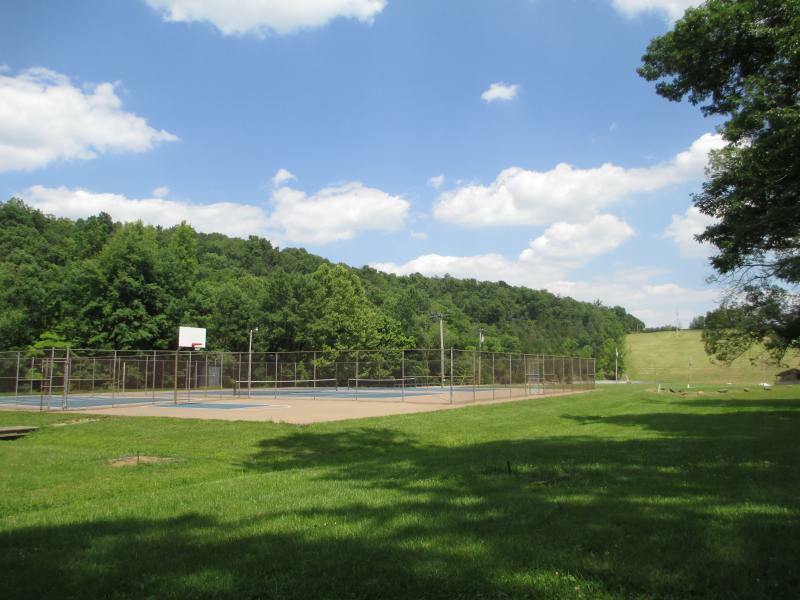 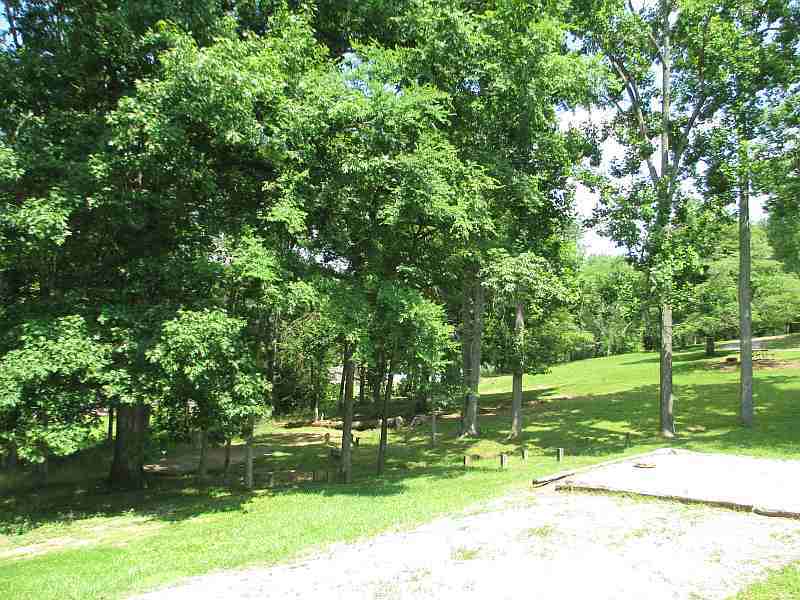 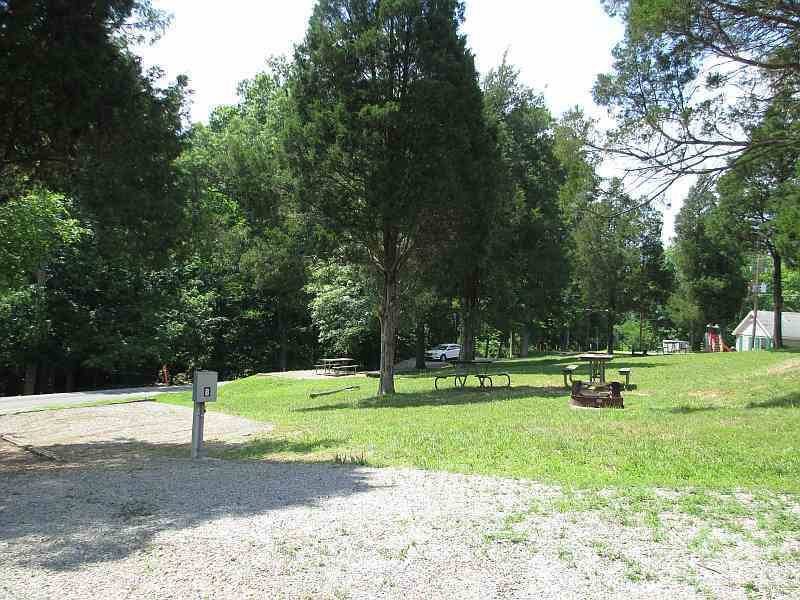 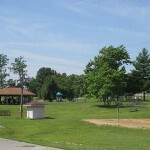 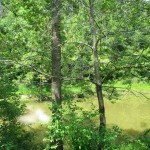 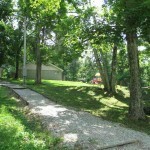 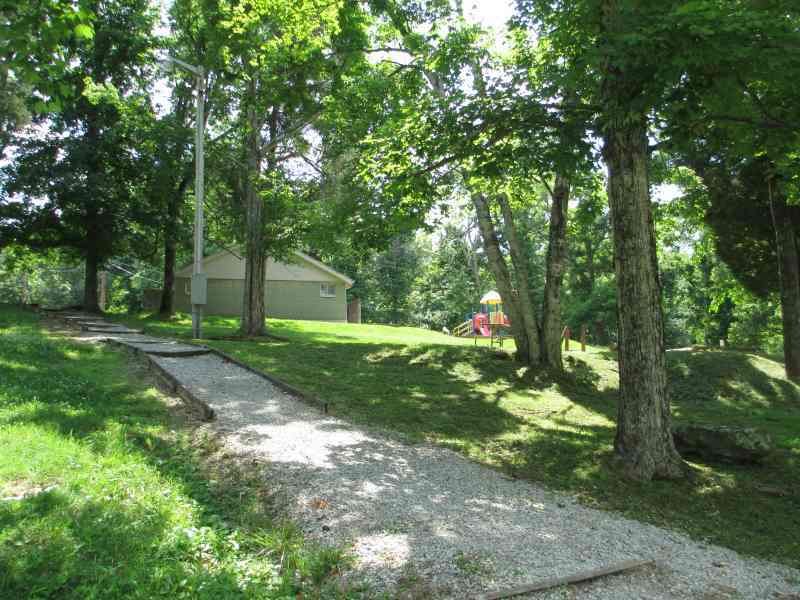 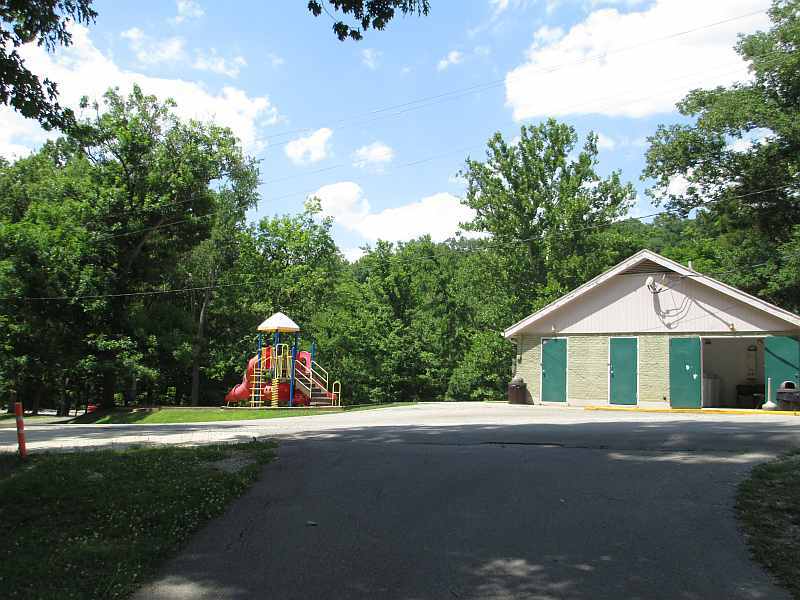 Campground at Rough River Dam State Resort Park – Right on Rough River! 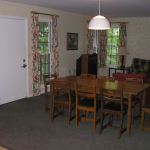 *** In the pictures above, some are of an Executive Cottage while some are from a Standard Cottage. 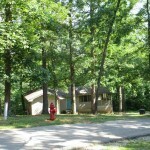 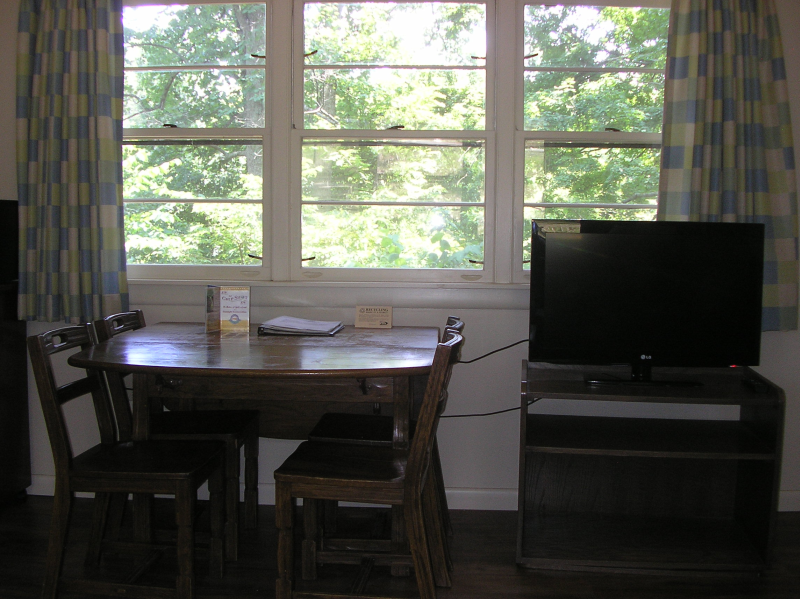 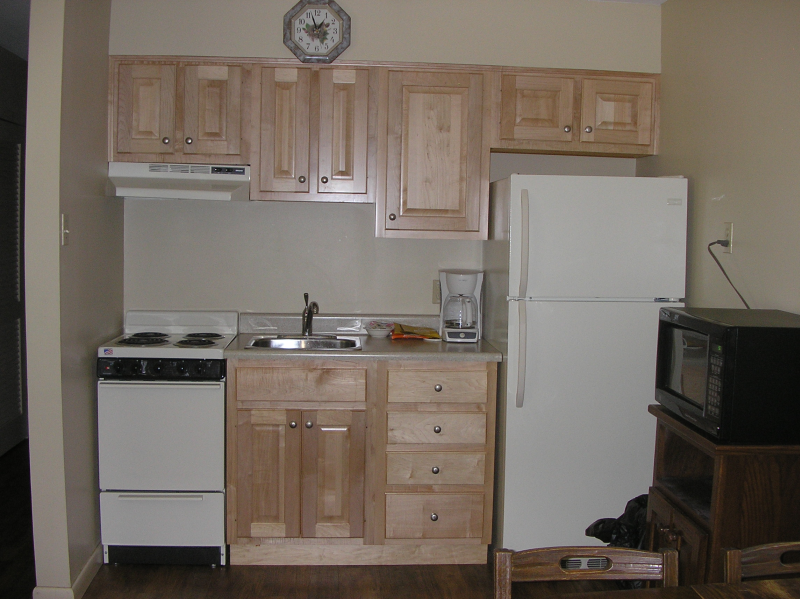 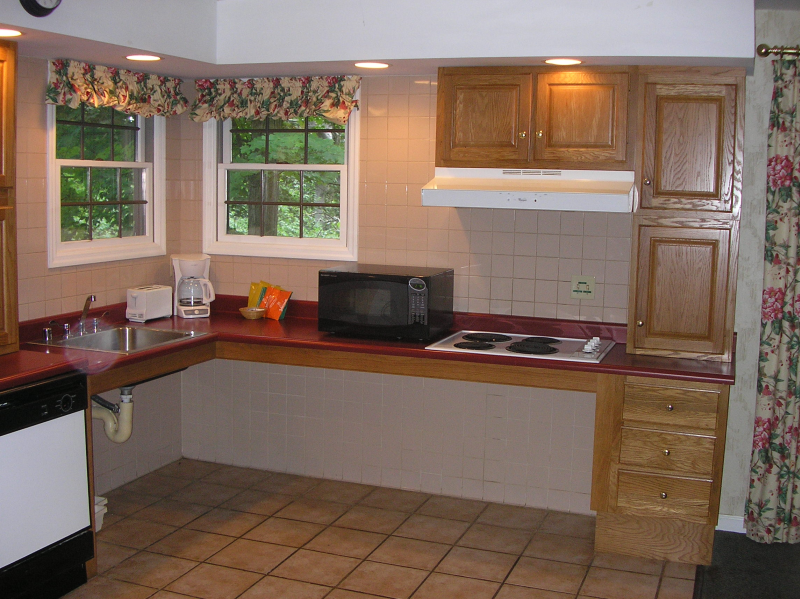 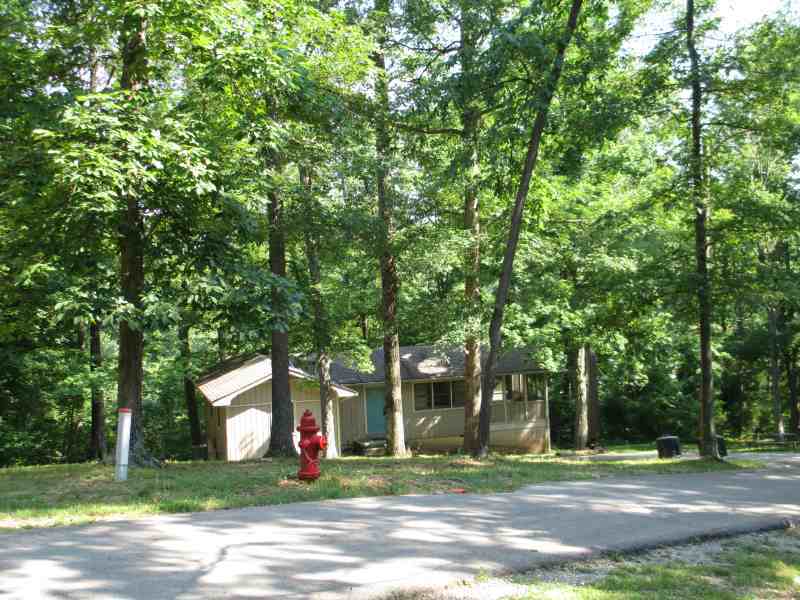 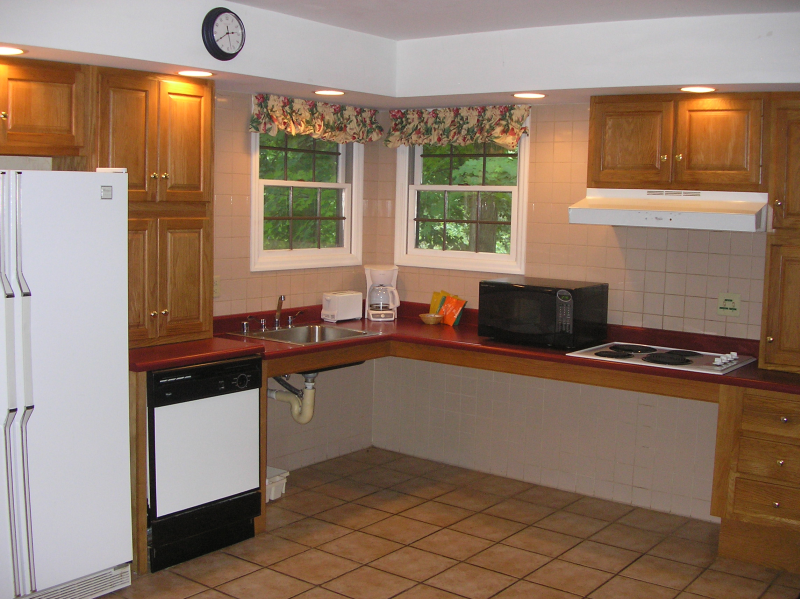 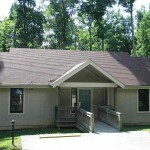 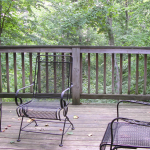 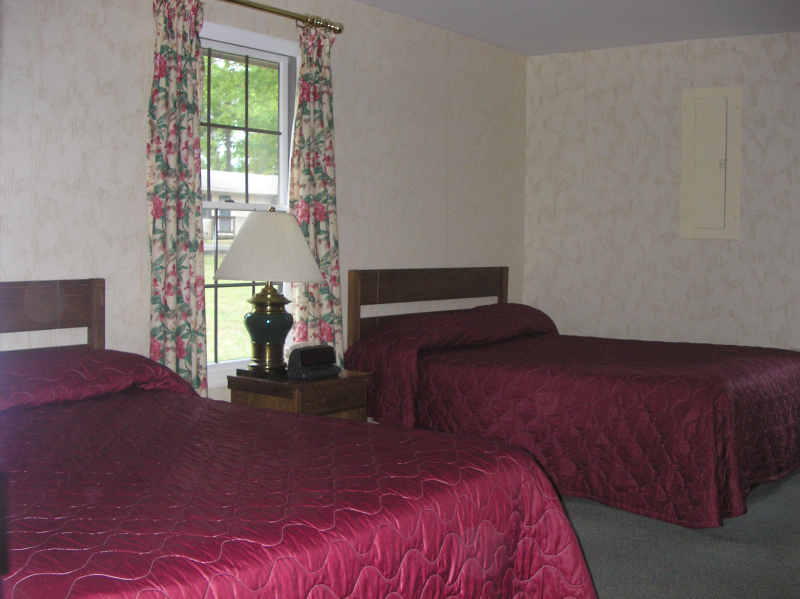 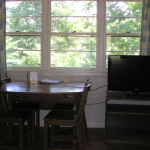 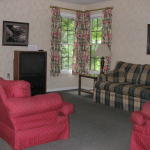 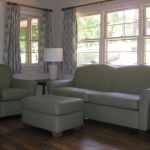 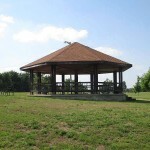 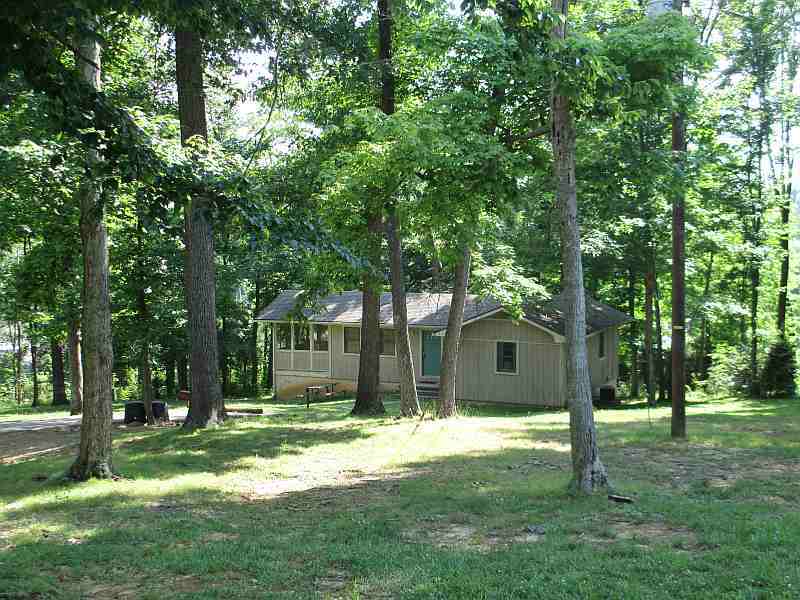 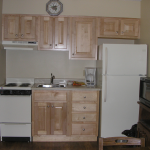 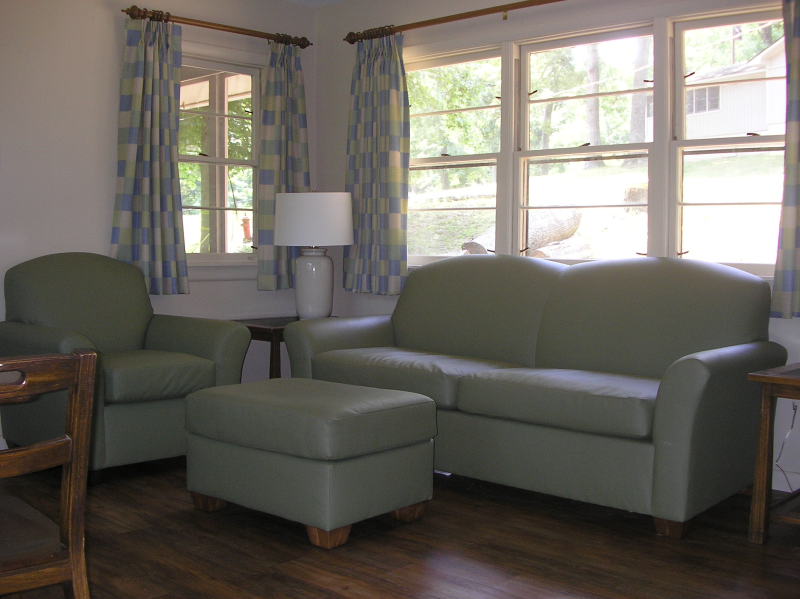 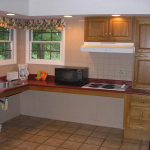 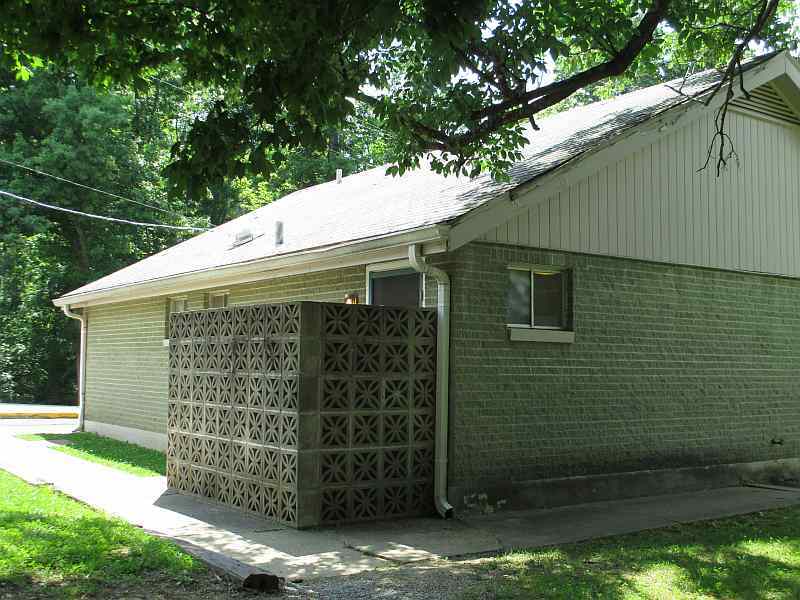 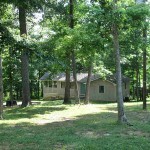 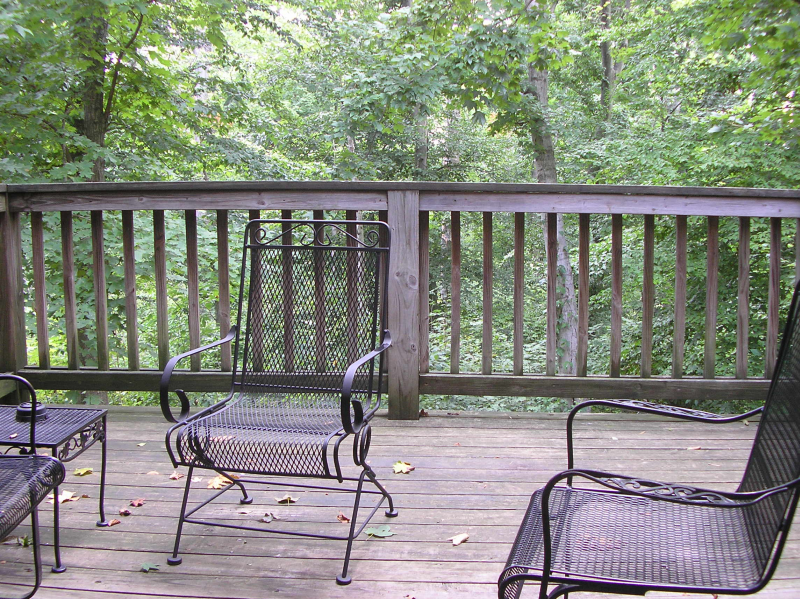 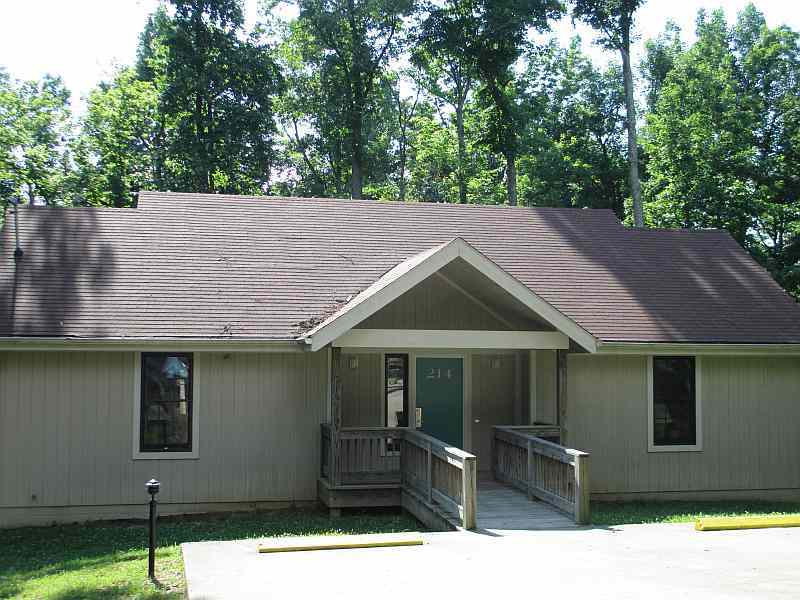 Call the park at (800) 325-1713 for information on these cottages such as availability, pricing, etc. 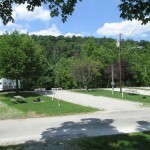 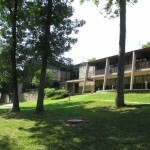 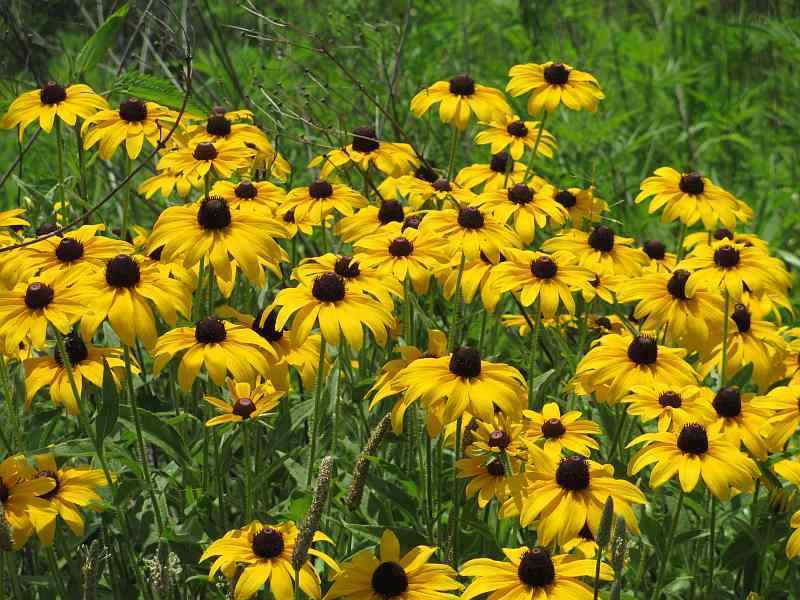 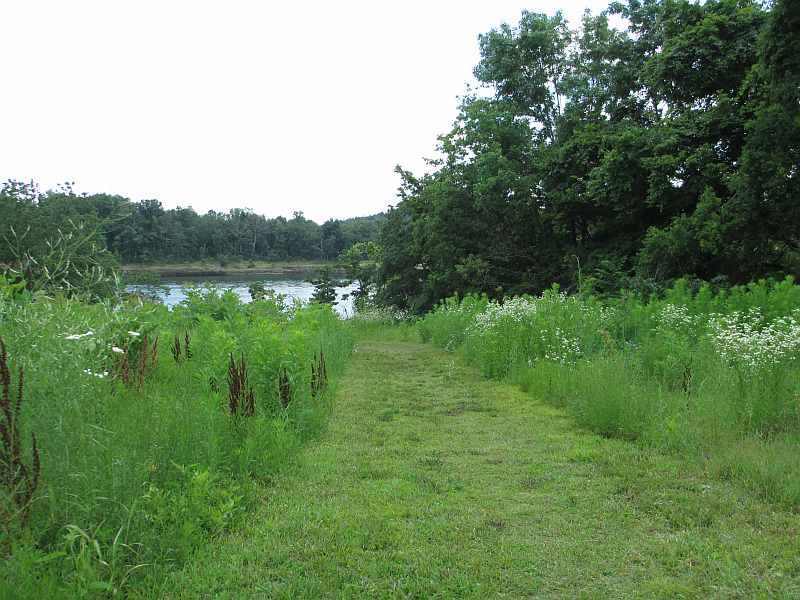 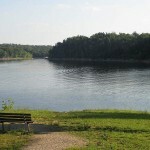 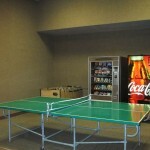 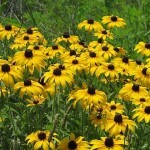 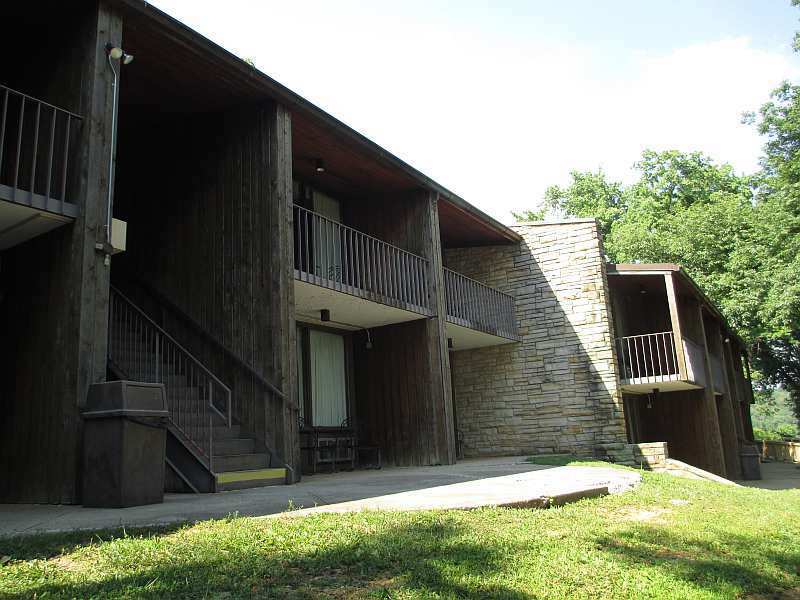 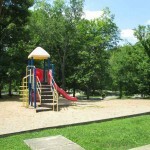 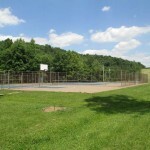 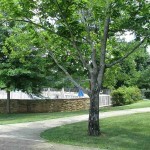 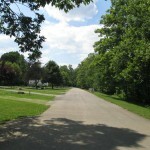 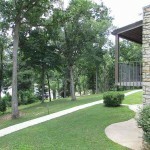 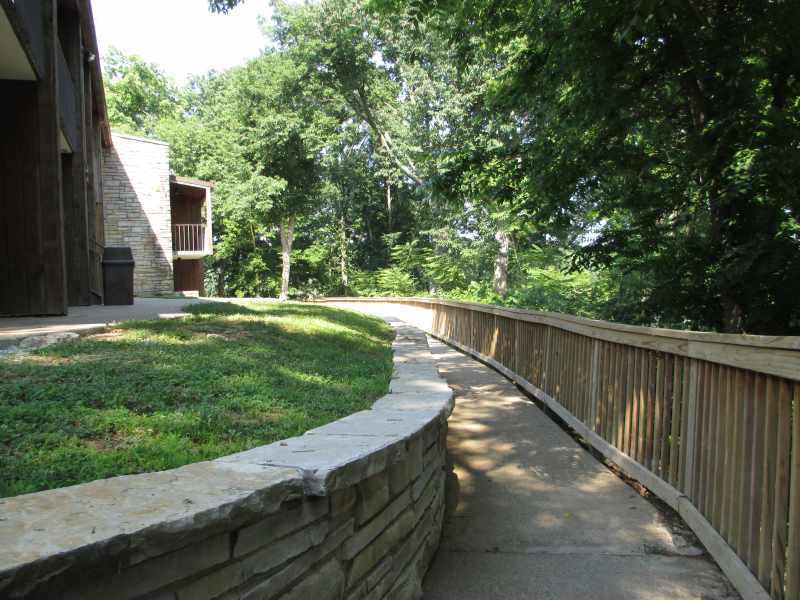 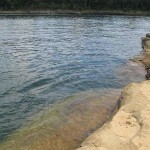 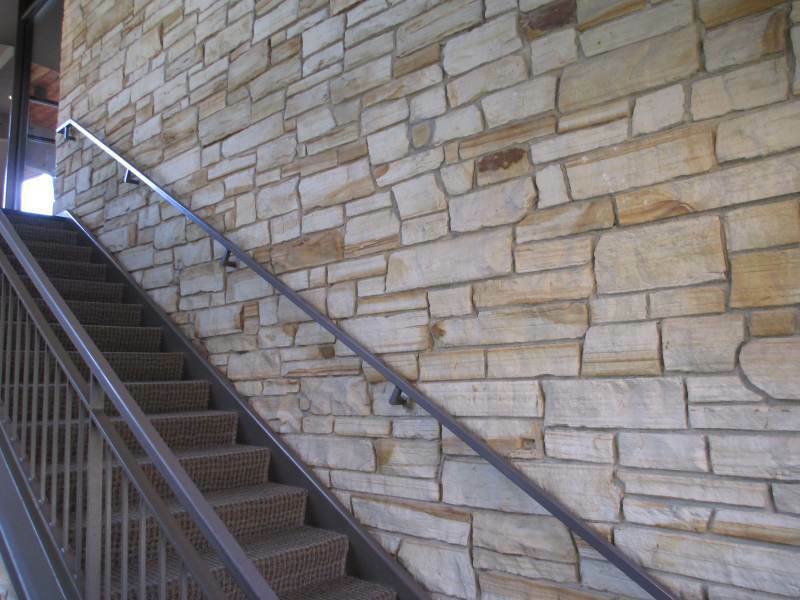 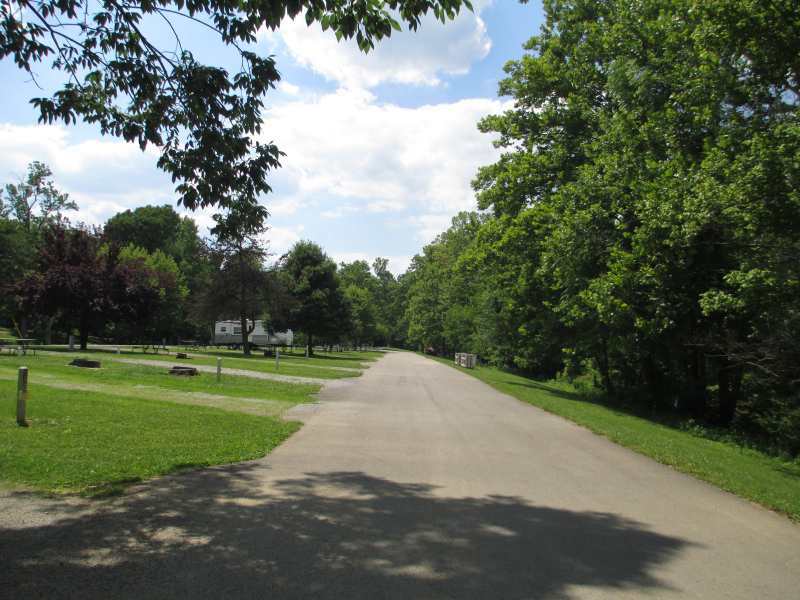 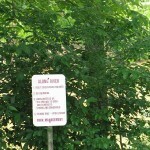 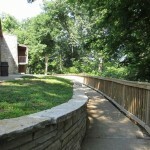 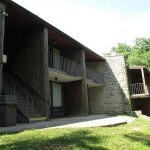 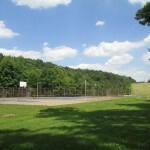 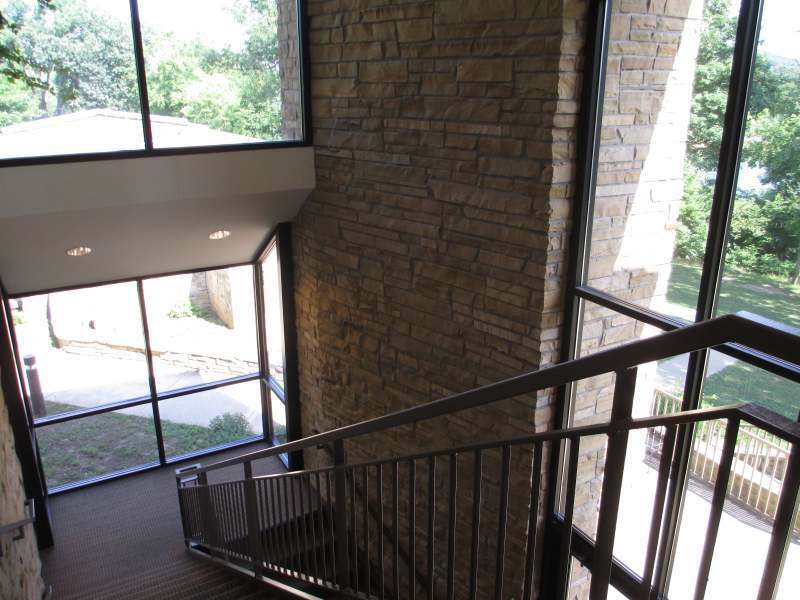 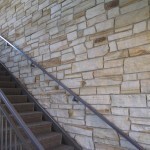 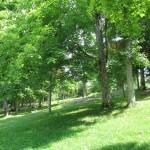 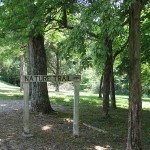 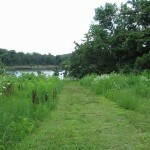 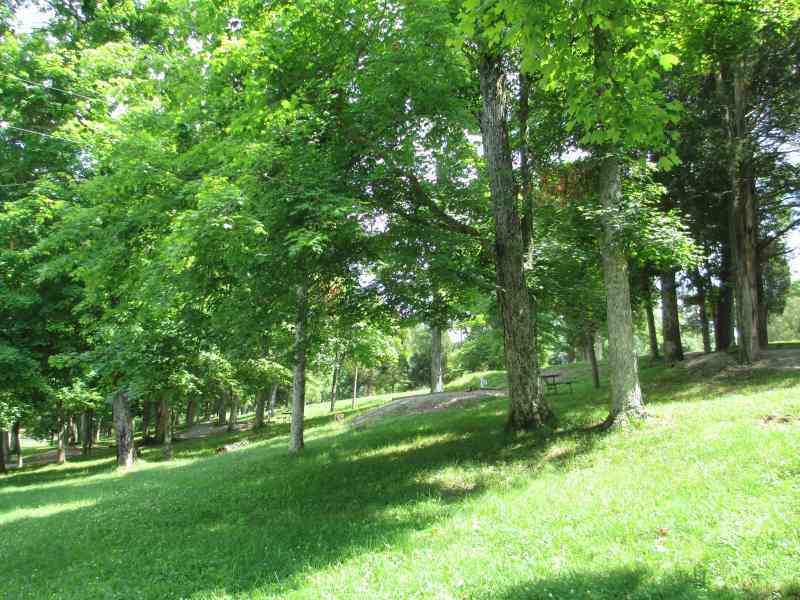 Everything at Rough River Dam State Resort Park is immaculate and spotless. 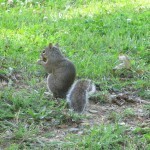 You have my word on that. 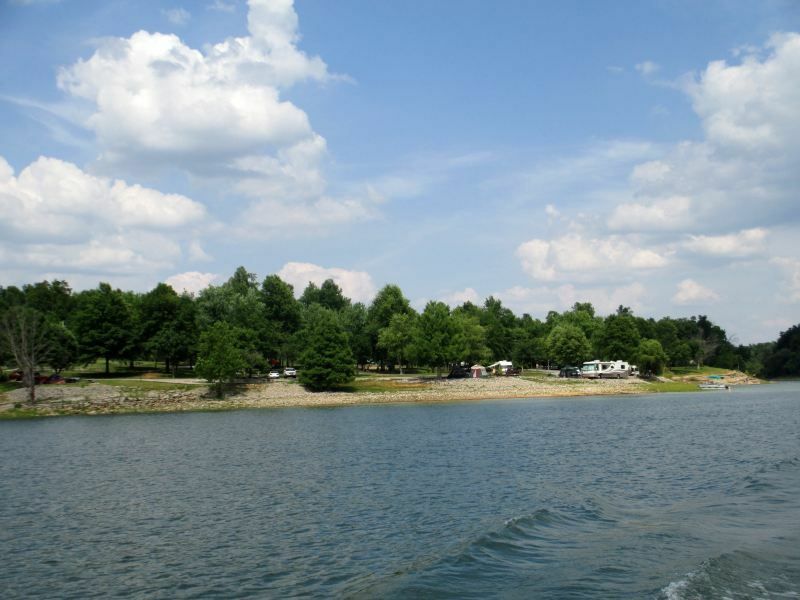 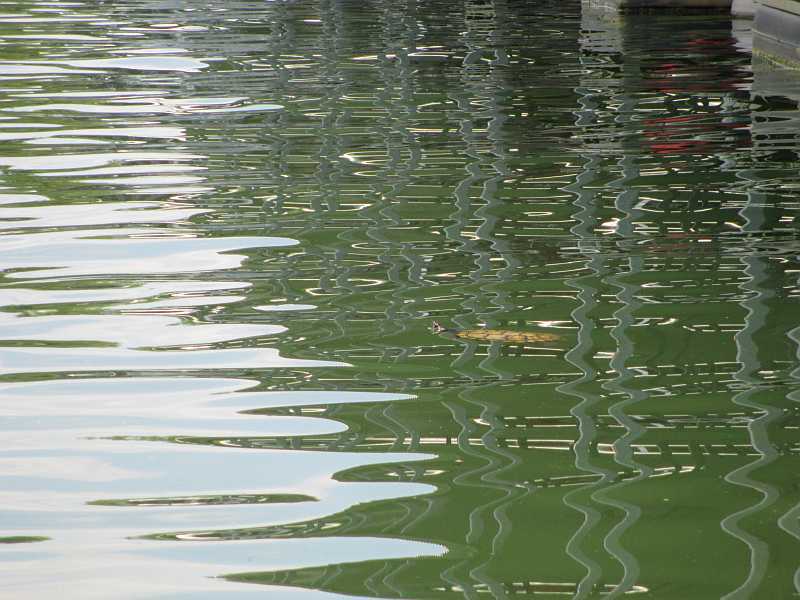 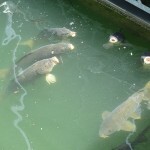 I love that the cottages are so pretty, but let’s be honest – with the big beautiful lake, miniature golf, and 101 other things to see and do outside…. 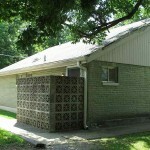 you’ll spend very little time inside! 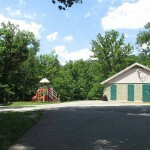 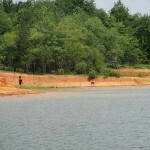 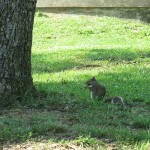 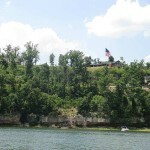 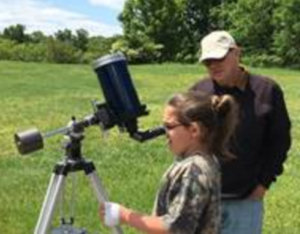 See pictures of Rough River Dam State Resort Park’s 50th Anniversary ! 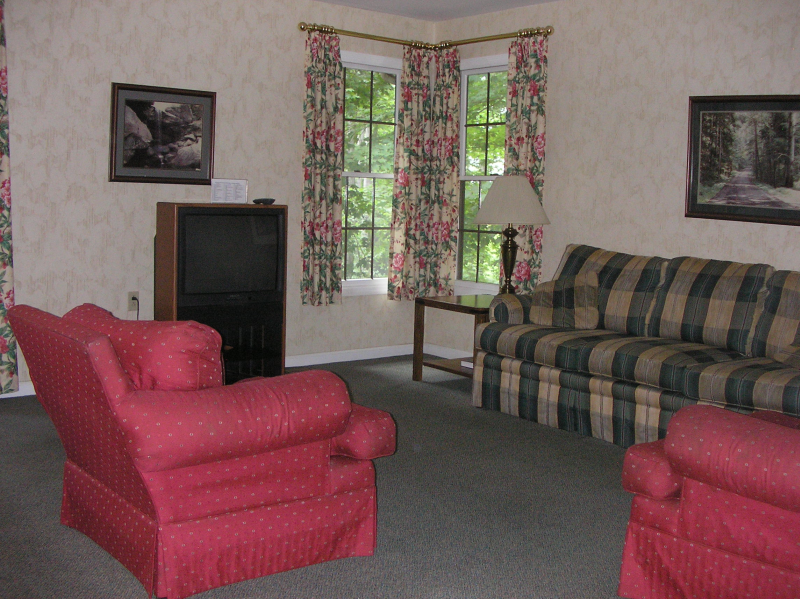 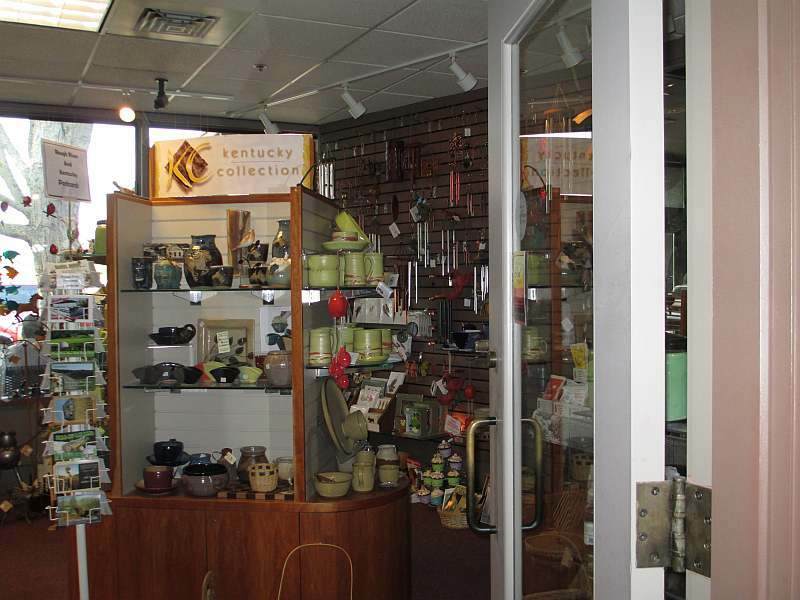 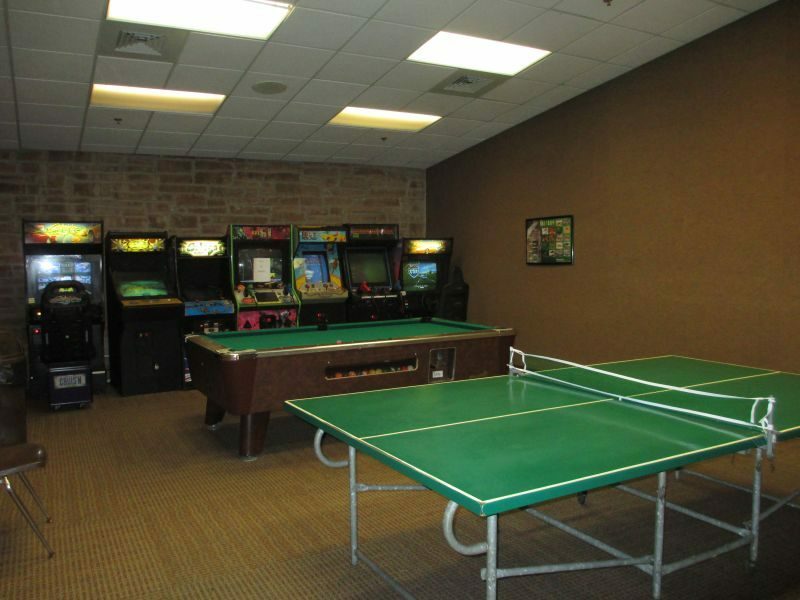 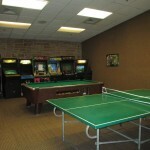 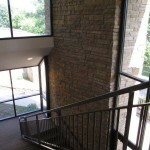 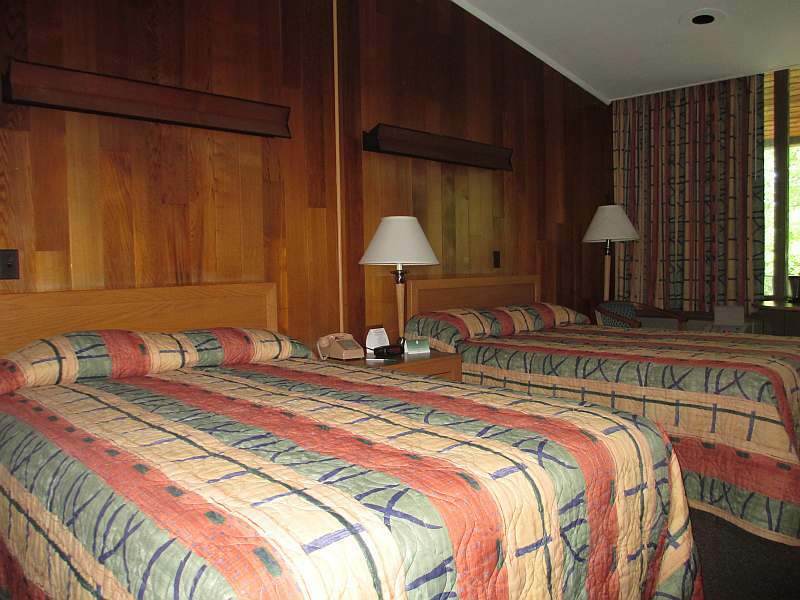 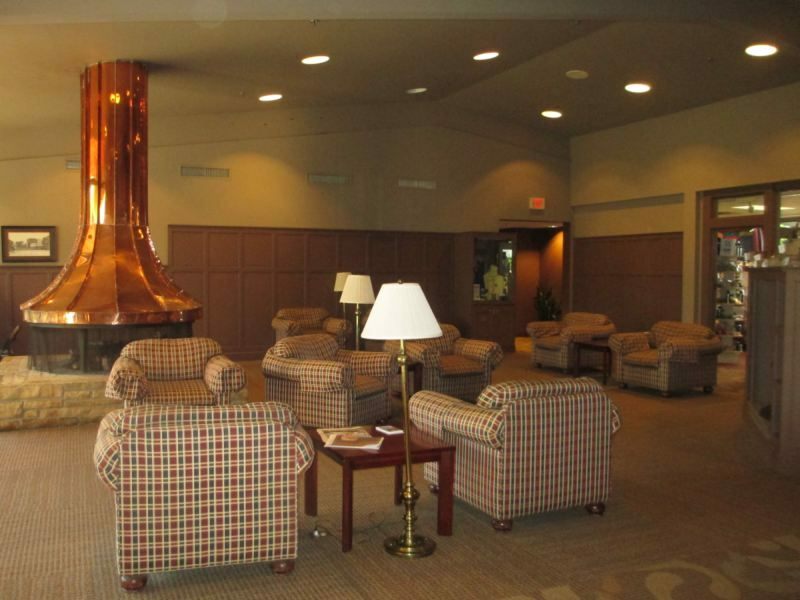 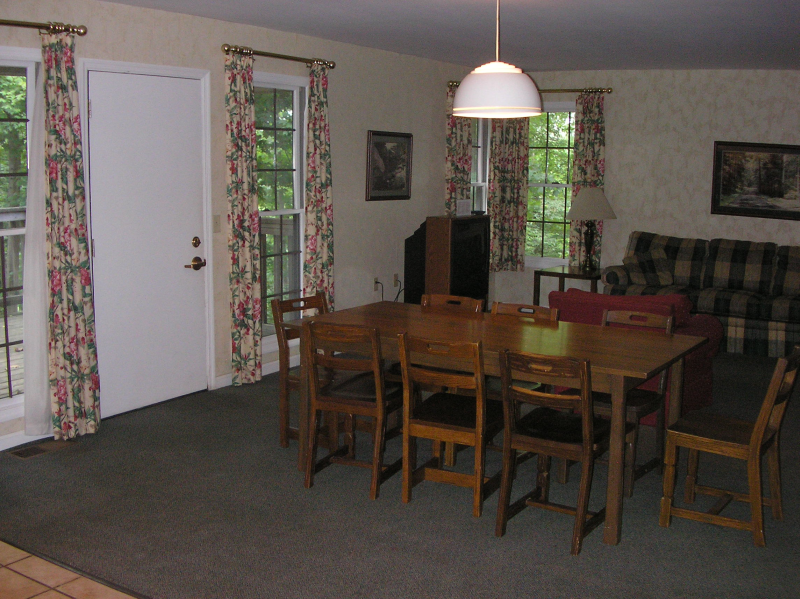 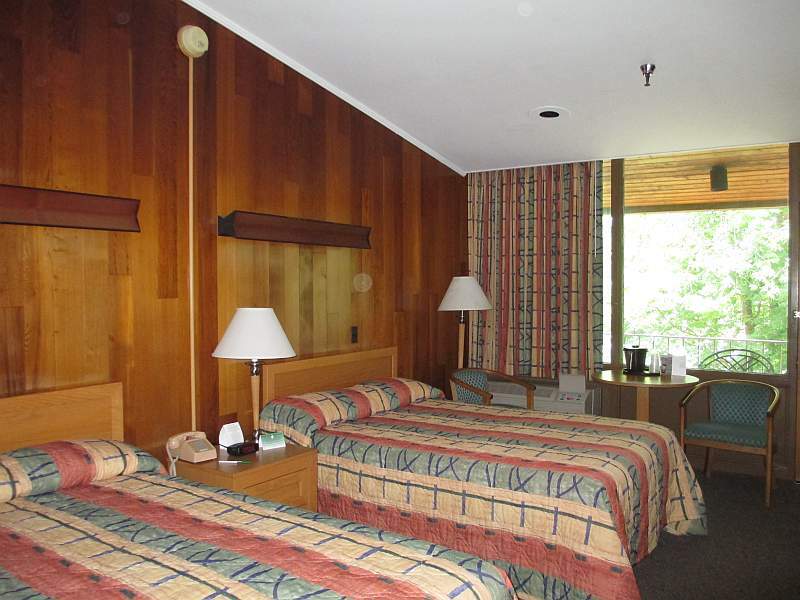 What do the inside of the cottages look like…can’t seem to find many pictures of them. 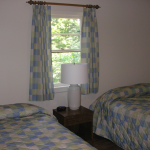 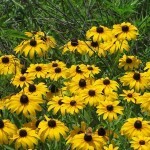 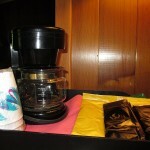 Ã?Â Read reviews ranging from excellent to absolutely terrible. 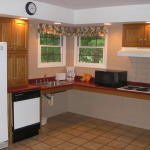 Ã?Â Would love to know before booking! 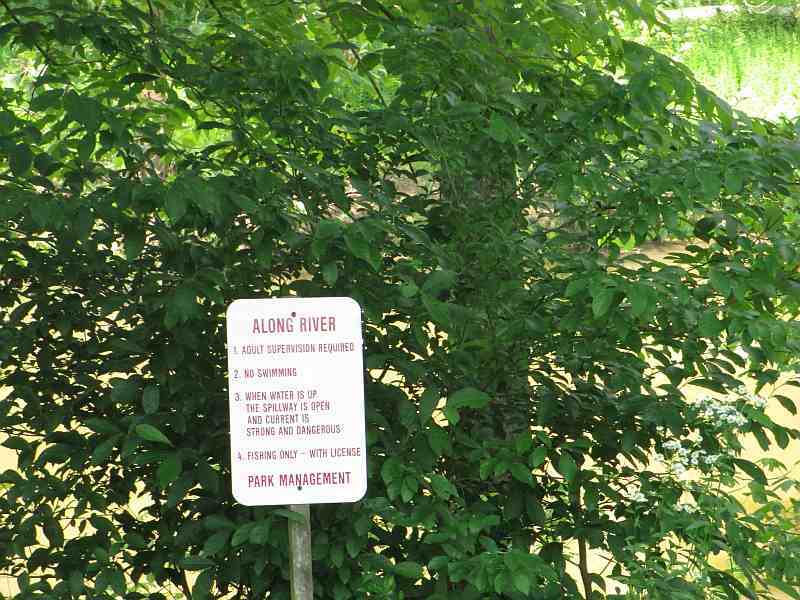 “Guest,”Ã?Â Hi! 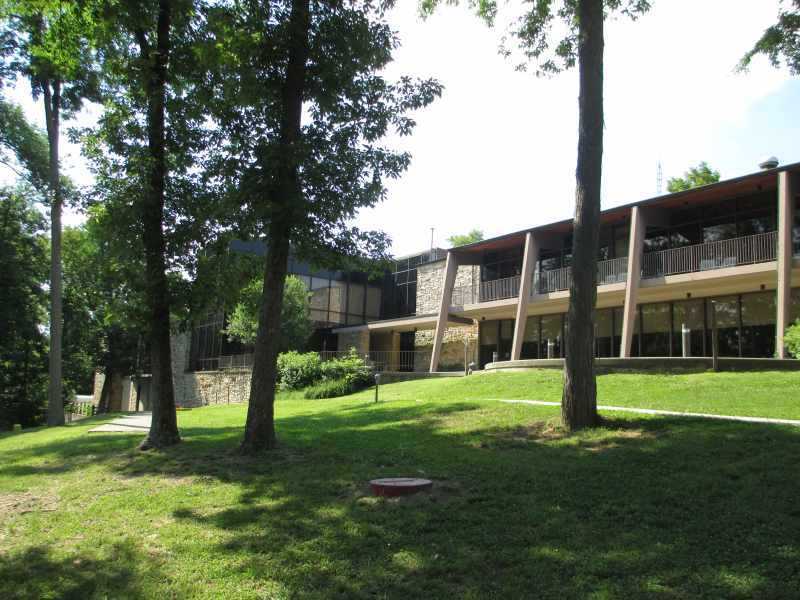 I’m afraid we, personally, haven’t been inside of the cottages yet.Ã?Â However, judging by the lodge rooms, I’d be willing to bet that the inside of the cottages are excellent. 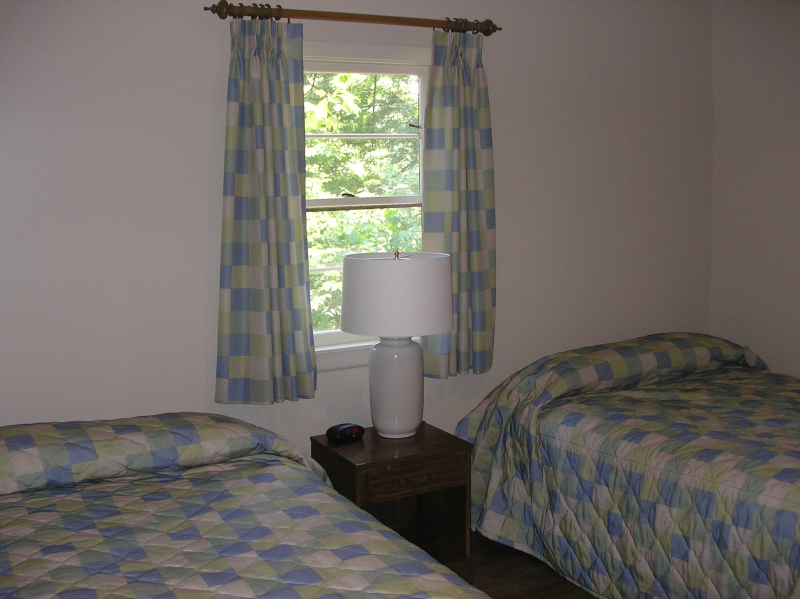 If they put 110 percent effort into lodge rooms (which are less expensive than cottages), they’re bound to put even more effort into the more expensive cottages. 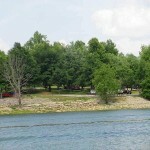 I have complete faith in the people at Rough River Dam State Resort Park and would bet my own reputation here at Genuine Kentucky on them. 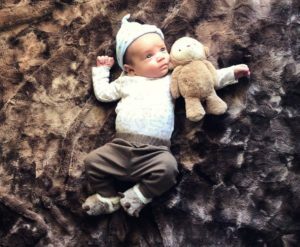 I hope you’ll take a chance on them – I know they won’t let you down.Ã?Â I’m about to contact someone right now and see if they happen to have any pictures of the cottage rooms. 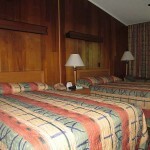 If they do, I’ll post them in a picture later today or in the morning. 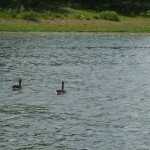 Thanks so much for stopping by and, again, I hope you’ll book a cottage at Rough River. 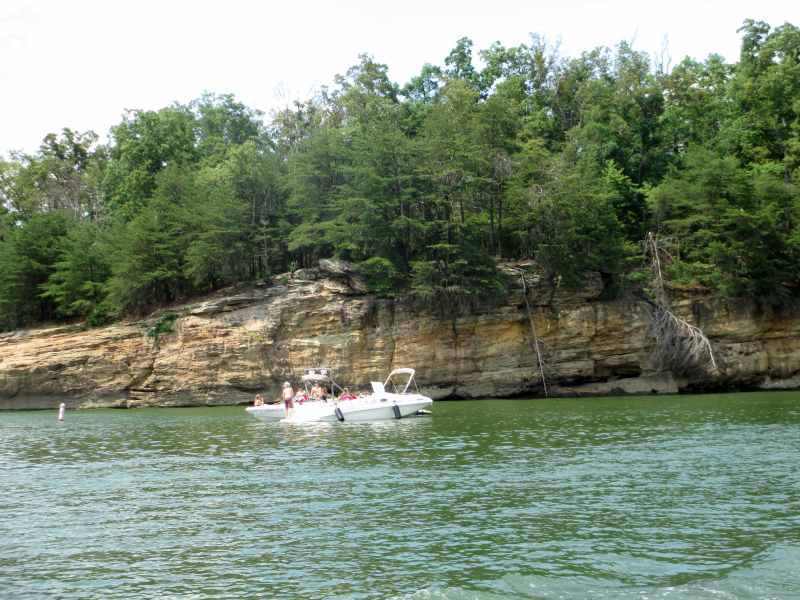 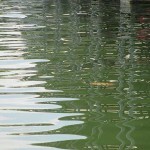 It’s a very special place, the lake is gorgeous, and the people couldn’t be any friendlier if they owed you money!